Part 1 of this bumper posting. More to follow. My hand is progressing slowly. A return to part-time work in the next couple of weeks, for which I will be grateful. It has been tough road dealing with this injury. Invocation is one of a series of paintings, which John Armstrong begun in the 1930’s as a direct statement against the rise of Fascism in Europe. John Armstrong observed Fascism in Italy at first hand and became an active left wing campaigner against the proliferation of nuclear weapons. 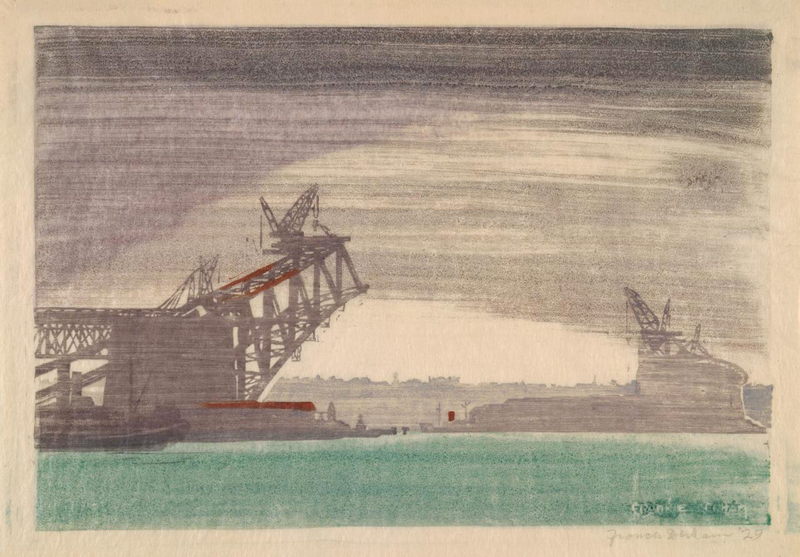 He was commissioned as an official war artist, designing a cover for a leaflet in the 1945 election campaign and contributed occasional articles and poetry to left wing journals. 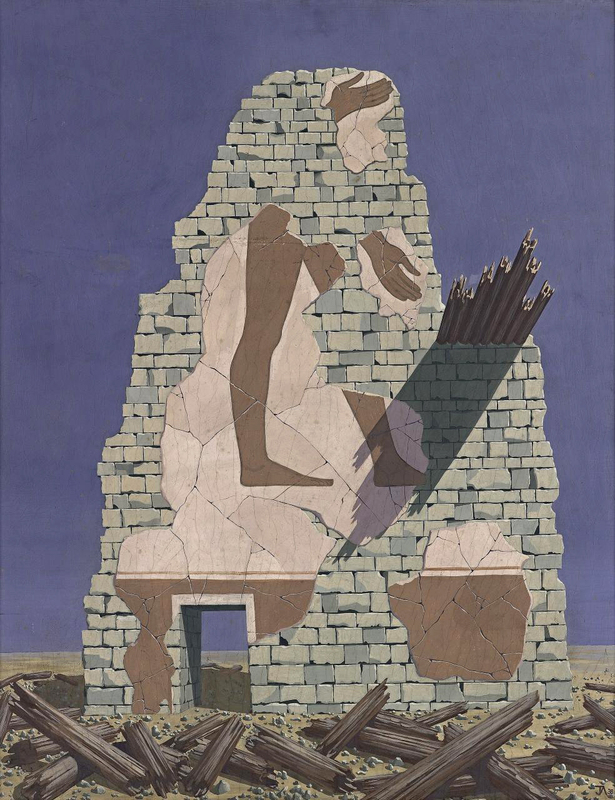 In his painting Victory, he imagined the result of a nuclear holocaust, which attracted the attention at the Royal Academy Summer Exhibition in 1958. Atget’s photograph Pendant l’éclipse (During the eclipse) was featured on the cover of the seventh issue of the Parisian Surrealists’ publication La Révolution surréaliste, with the caption Les Dernières Conversions (The last converts), in June 1926. The picture was uncredited, as were the two additional photographs reproduced inside. Although Atget firmly resisted the association, his work – in particular his photographs of shop windows, mannequins, and the street fairs around Paris – had captured the attention of artists with decidedly avant-garde inclinations, such as Man Ray and Tristan Tzara. 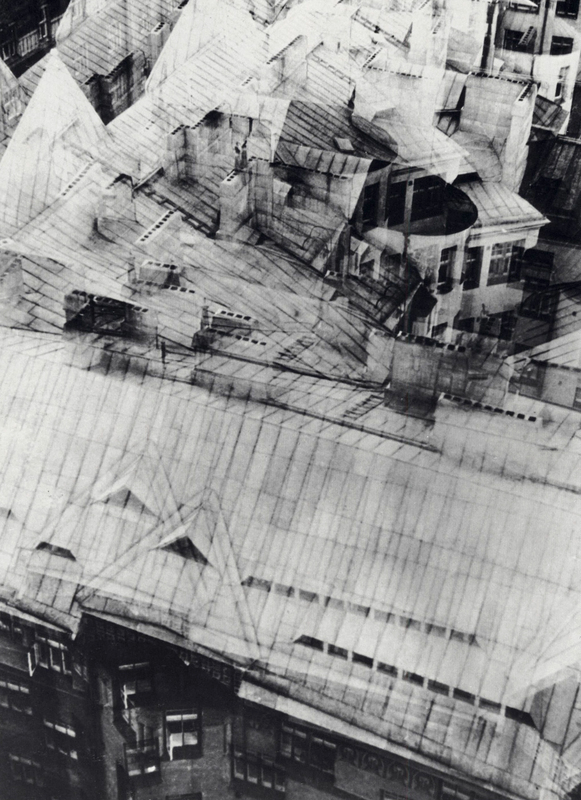 Man Ray lived on the same street as Atget, and the young American photographer Berenice Abbott (working as Man Ray’s studio assistant) learned of the French photographer and made his acquaintance in the mid-1920s – a relationship that ultimately brought the contents of Atget’s studio at the time of his death (in 1927) to The Museum of Modern Art almost forty years later. 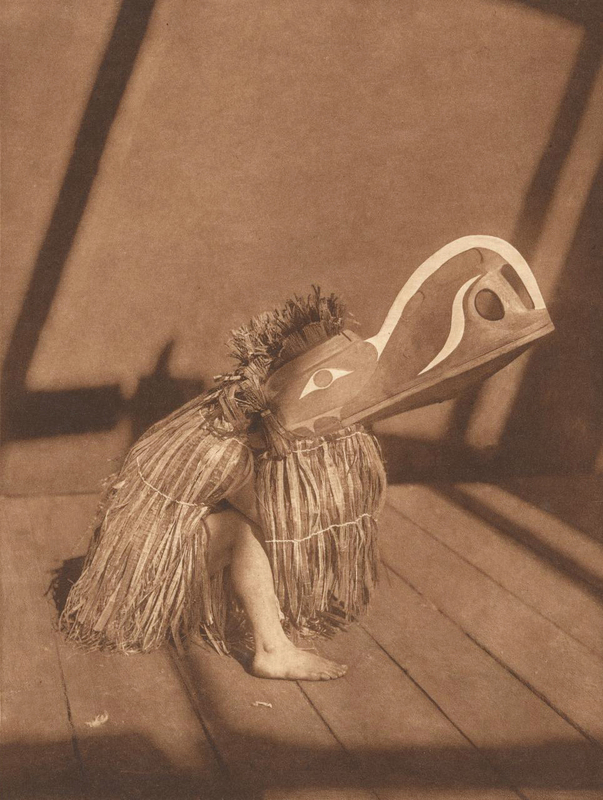 Among Cotton’s most famous photographs, Teacup ballet has very humble origins. 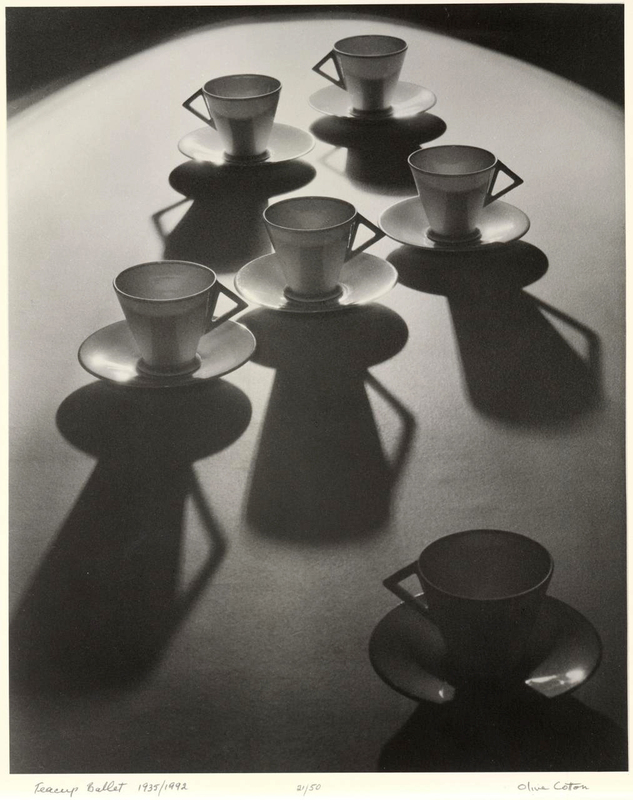 It was taken after hours in the Dupain studio and used a set of cheap cups and saucers Cotton had earlier bought from a Woolworths store for use around the studio. As she later recounted: ‘Their angular handles suggested to me the position of “arms akimbo” and that led to the idea of a dance pattern’. 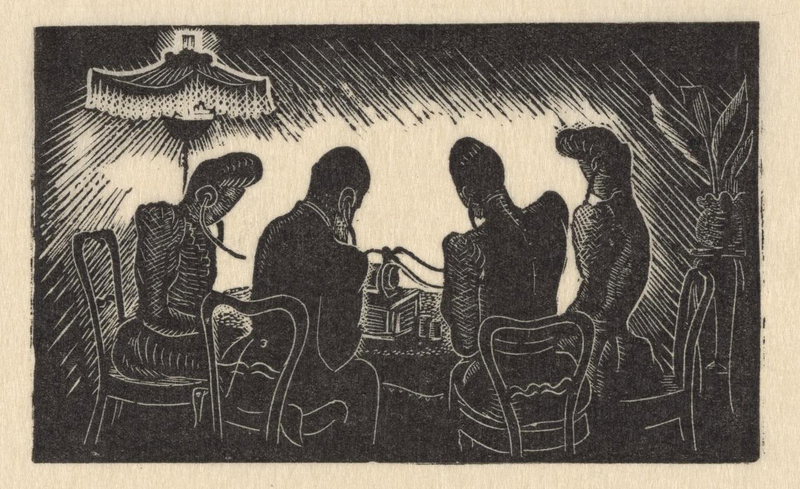 The picture uses a range of formal devices that became common to Cotton’s work, especially the strong backlighting used to create dramatic tonal contrasts and shadows. 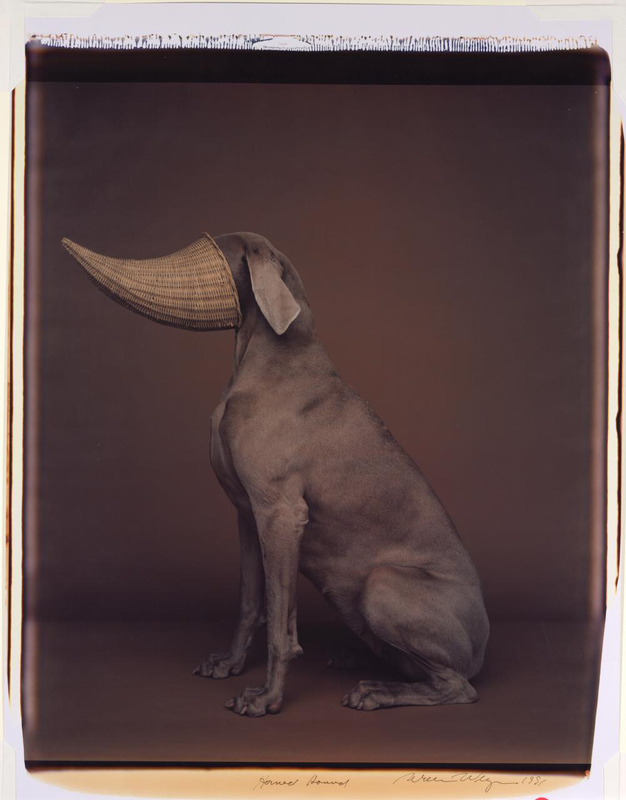 The picture achieved instant success, and was selected for exhibition in the London Salon of Photography for 1935. 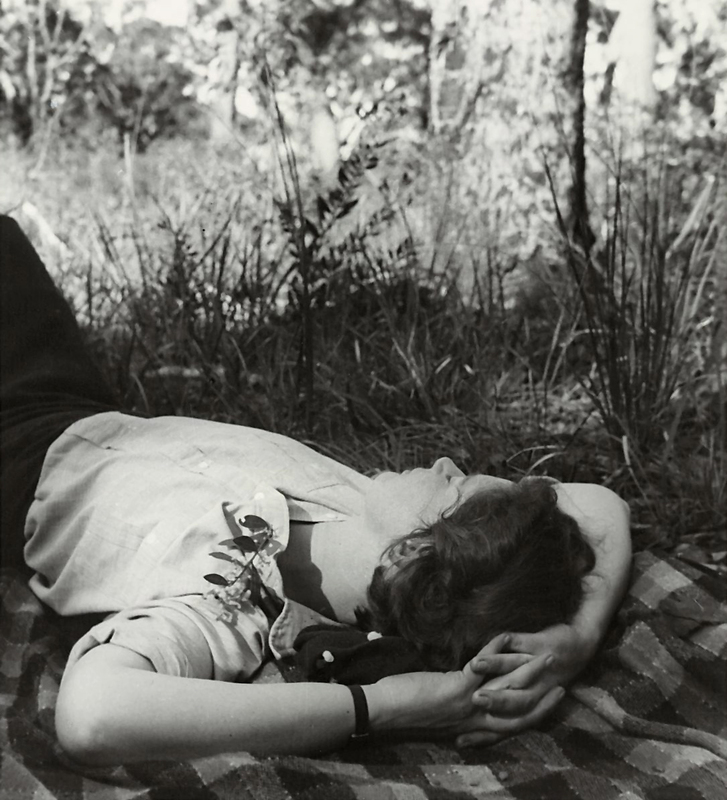 The sleeper 1939, Olive Cotton’s graceful study of her friend Olga Sharp resting while on a bush picnic, made around the same time as Max Dupain’s Sunbaker, presents a different take upon the enjoyment of life in Australia. The woman is relaxed, nestled within the environment. The mood is one of secluded reverie. While all great photographers have both technical skill and creative ability it is the dedication of this artist to his task over so many years that sets him apart. That dedication is critically coupled with his innate ability to capture the “spirit” of the Native American cultures and peoples, their humanity. 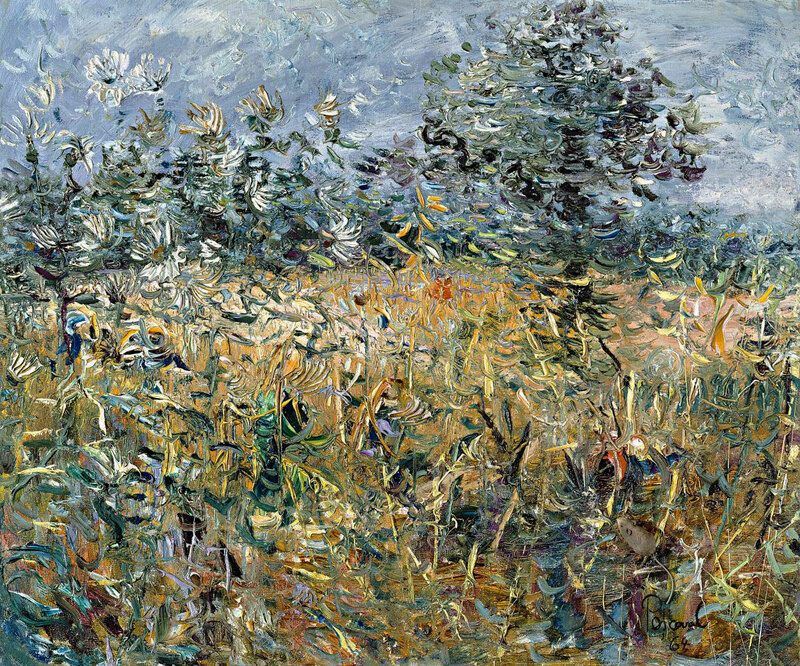 His contribution to art in Australia was, however, as a painter who introduced Post-Impressionist principles and challenged the notion that art was an imitation of nature. 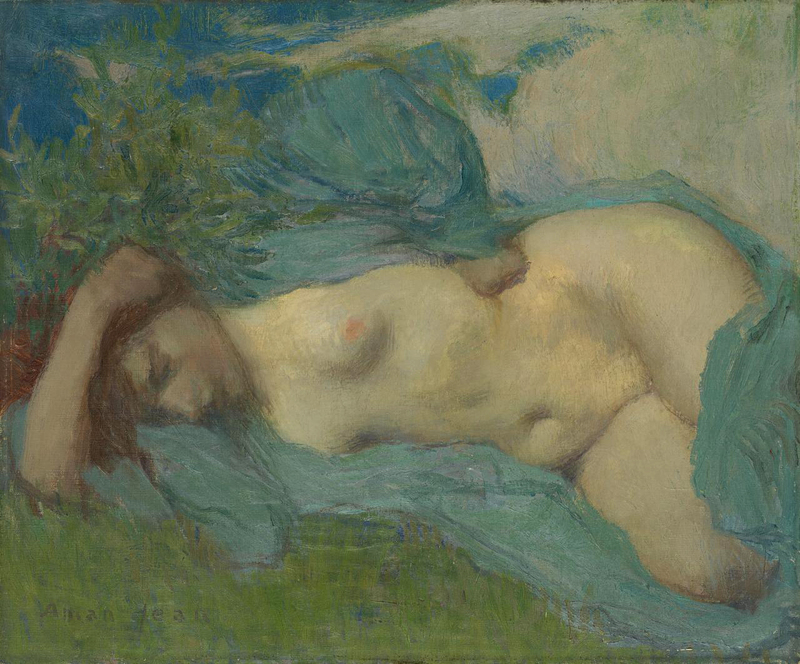 Frater’s oeuvre developed between 1915 and 1920 towards a simplification of design, an interplay of massed lights and shadows, and sonorous low-keyed colour that reflected his interest in the classical seventeenth century painters in interaction with the analytical tonal theory of Max Meldrum. 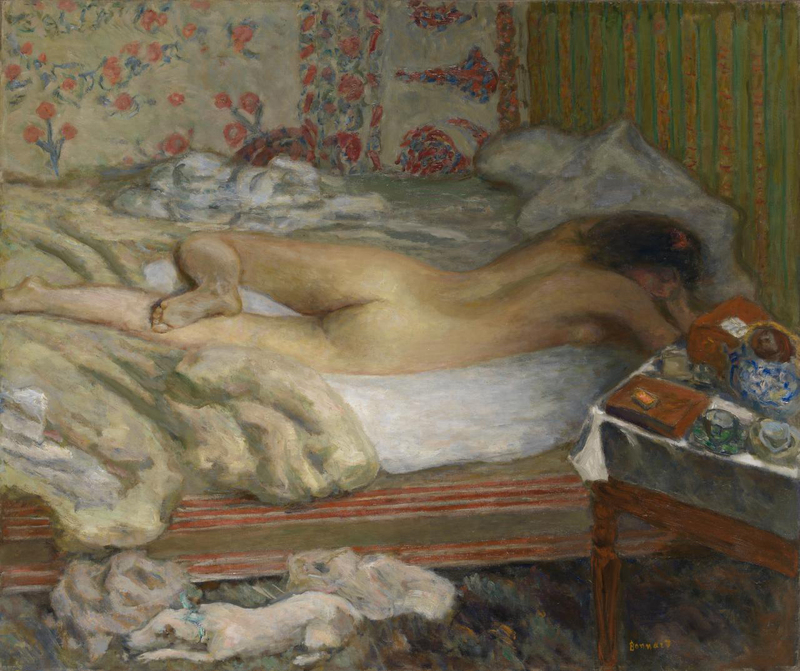 Notable examples of his predominantly figure and portrait paintings are ‘The artist’s wife reading’ (1915) and ‘Portrait of artist’s wife’ (1919). An experimental Colourist phase followed in the next decade. 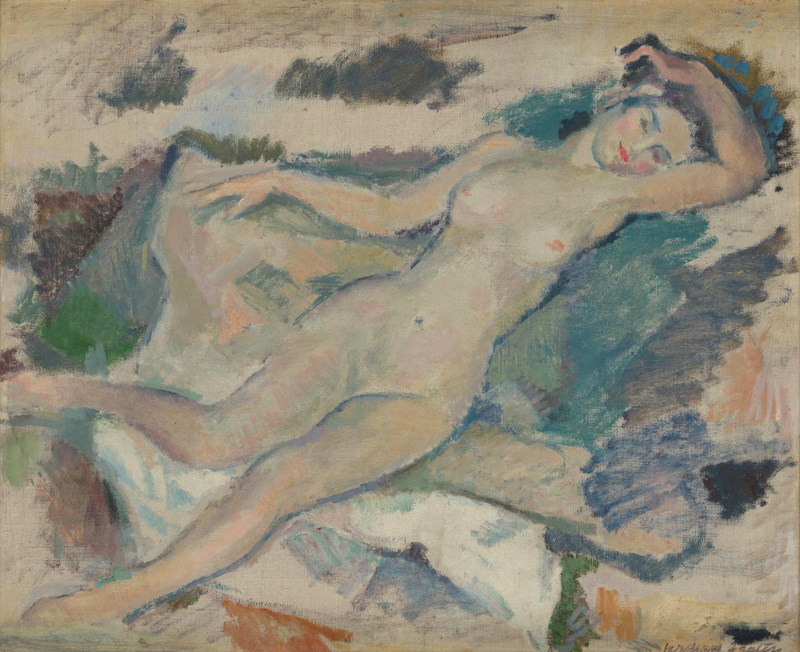 His first solo exhibition was held in May 1923 at the Athenaeum, Melbourne, and he exhibited with the Twenty Melbourne Painters from the late 1920s, and the Contemporary Group of Melbourne in the 1930s. His approach in the 1930s was markedly indebted to Cézanne, especially in the portraits which predominated until his retirement… Frater gave aggressive leadership to the small group of modernists in the 1920s. His example, teaching, lecturing and crusty style of polemic did much to disrupt the academic style as the arbiter of pictorial values and to pioneer a change of taste in the community. 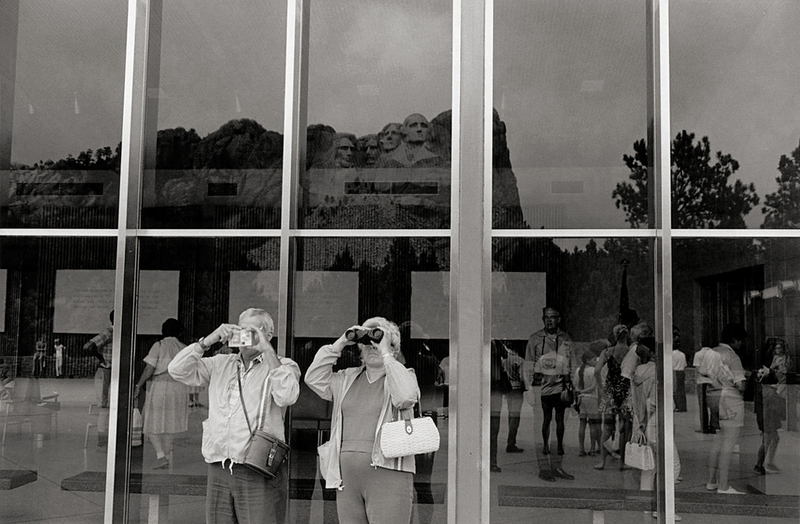 As Grundberg notes, Friedlander’s terse depiction shows both the sight and the tourists themselves, being brought into existence through the effects of looking, reflecting, framing and imaging. These, he adds, are all linked to the general project of culturally appropriating the natural world. ‘Natural site has become acculturated sight’ (Grundberg 1990: 15). As the image makes clear, the ‘sight’ or the ‘site’ is a ‘seeing’ without a subject, for it pre-exists the arrival and activity of any individual tourist-photographer, who, once located there, is framed as much as framing. The sight is not so much an object to be viewers an already structured condition of seeing, a situation which places the sightseer even as he or she freely choose to look or shoot. 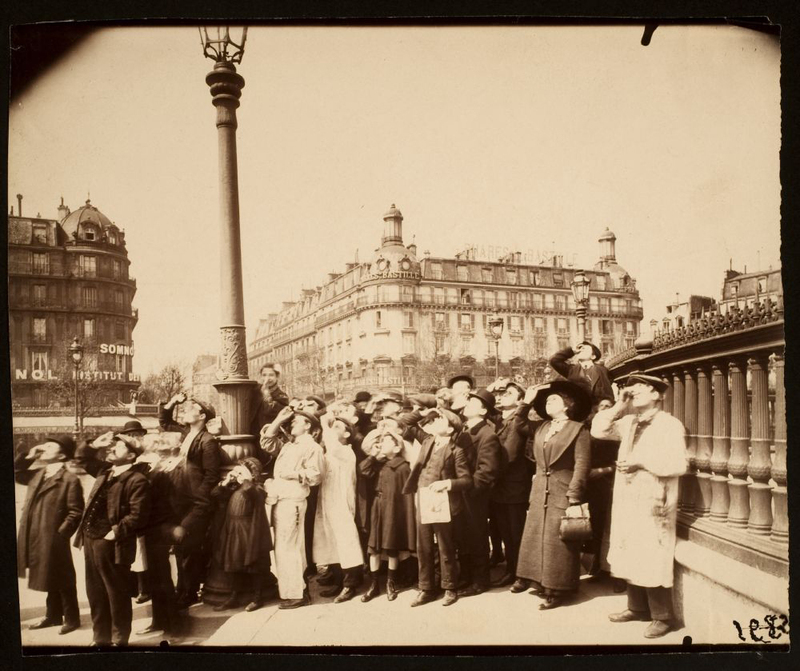 The effects of photography’s presence in the tourist system merely completed a process under way before photography’s birth. As tourists, even at the moment of photographing, even if touring cameraless, we are not so much looking as looking at images, or looking for images. Tourism provides us less with experience than with events to be seen, Or rather, events to look at. 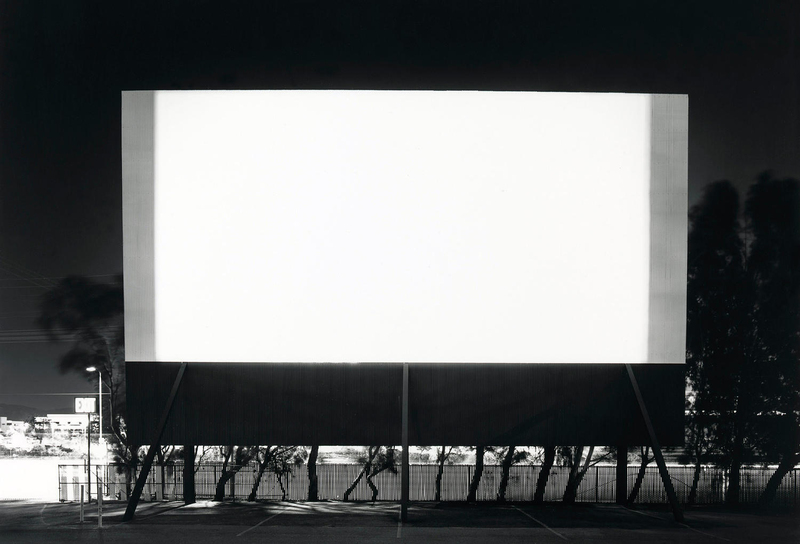 The privileging of the visual grants us separation from our own experience… We look on or look in through the distancing arrangements of the camera or through eyes educated to see with the same ontological remoteness. The world of the tourist is ‘over there’, in the past-present, in the exotic-ordinary. It is framed off, the object of imaging or description, in some spectacular distance, or set back as performance (Greenwood in Smith 1989). Peter Osborne. Traveling Light: Photography, Travel and Visual Culture. Manchester University Press, 2000, pp. 81-82. Eidos a Greek term meaning “form” “essence”, “type” or “species”. 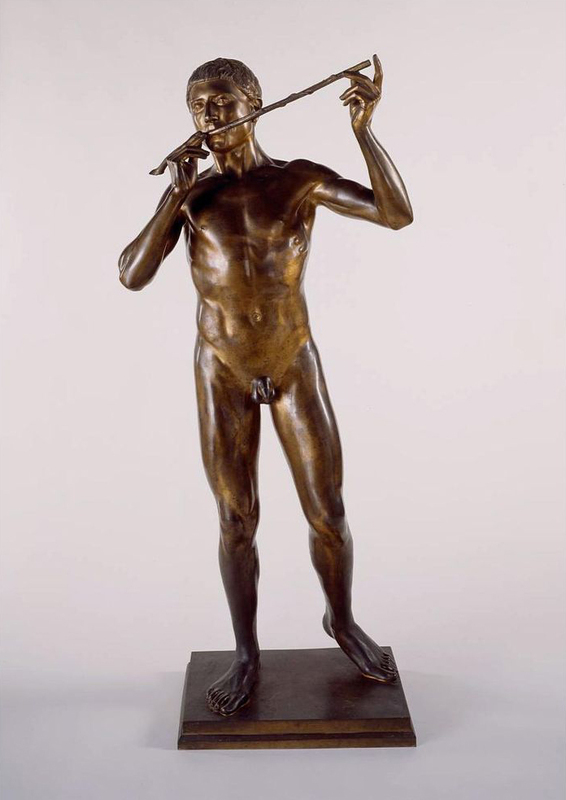 The early Greek concept of form precedes attested philosophical usage and is represented by a number of words mainly having to do with vision, sight, and appearance. The words, εἶδος (eidos) and ἰδέα (idea) come from the Indo-European root *weid-, “see”. Eidos (though not idea) is already attested in texts of the Homeric era, the earliest Greek literature. This transliteration and the translation tradition of German and Latin lead to the expression “theory of Ideas.” The word is however not the English “idea,” which is a mental concept only. The best of the landscape photographs have nothing to do with Arcadian, pastoral life at all. For me, Kruger’s photographs only start to come alive when he is photographing gum trees against the sky. Anyone who has tried to photograph the Australian bush knows how difficult it is to evince a “feeling” for the bush and Kruger achieves this magnificently in a series of photographs of gum trees in semi-cleared land, such as Bush scene near Highton (c. 1879). These open ‘parklike’ landscapes are not sublime nor do they picture the spread of colonisation but isolate the gum trees against the sky. They rely on the thing itself to speak to the viewer, not a constructed posturing or placement of figures to achieve a sterile mise-en-scène. Dr Marcus Bunyan from a posting on the NGV exhibition Fred Kruger: Intimate Landscapes. This was a very hands on process, an observation confirmed by artist Ruth Maddison. “The process was like hand watering your garden, an intense exchange and engagement with the object. When I started I was completely untrained, but I loved the process. I just experimented in order to understand what medium does what on what paper surface. 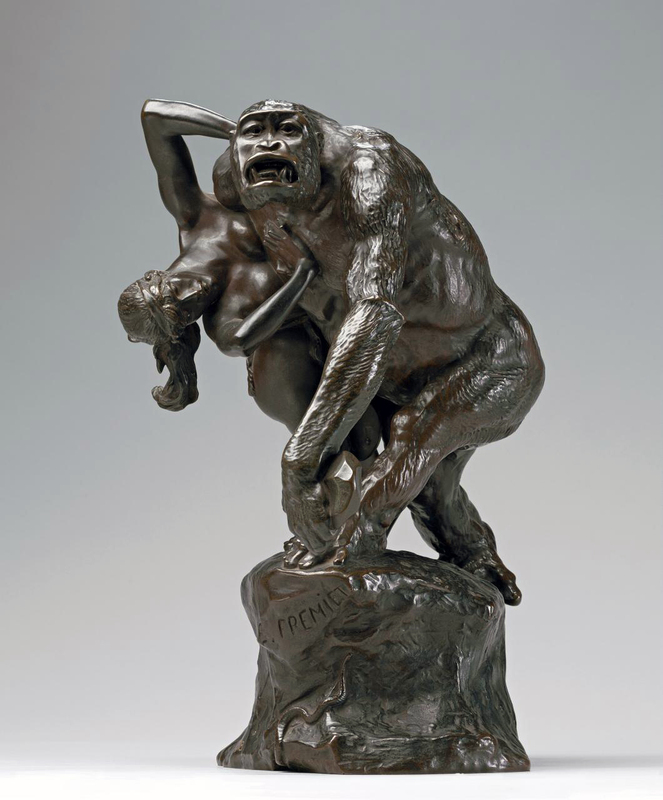 There was the beauty of its object and its physicality. I just loved the object.” Her series Christmas holiday with Bob’s family, Mermaid Beach, Queensland (1977/78, below), photographed over Christmas Day and several days afterwards, evidences this magical transformation. Vernacular photographs of a typical Australia Christmas holiday become something else, transformed into beautiful, atypical representations of family, friendship, celebration and life. Dr Marcus Bunyan commenting on the National Gallery of Australia exhibition Colour My World: Handcoloured Australia Photography. In this evocative image Moore condenses the anticipation and apprehension of immigrants into a tight frame as they arrive in Australia to begin a new life. The generational mix suggests family reconnections or individual courage as each face displays a different emotion. 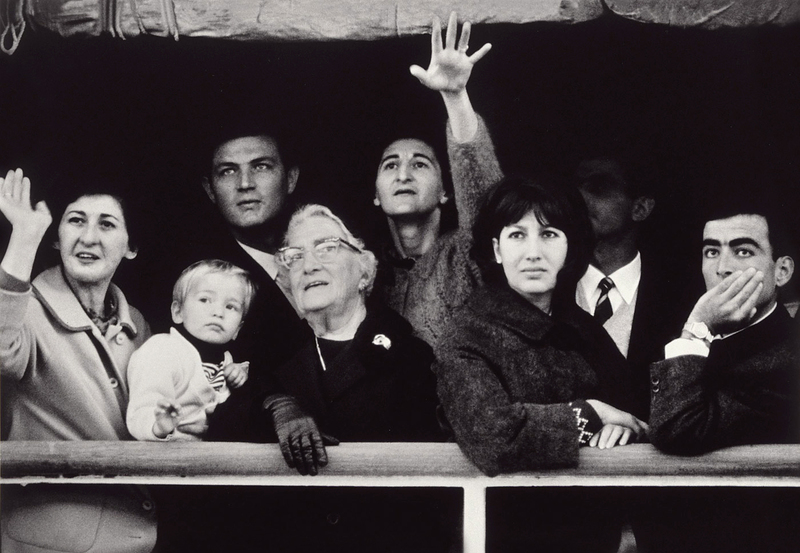 Moore’s first colour image Faces mirroring their expectations of life in the land down under, passengers crowd the rail of the liner Galileo Galilei in Sydney Harbour was published in National Geographic in 1967.1 In that photograph the figures are positioned less formally and look cheerful. But it is this second image, probably taken seconds later, which Moore printed in black-and-white, that has become symbolic of national identity as it represents a time when Australia’s rapidly developing industrialised economy addressed its labour shortage through immigration. 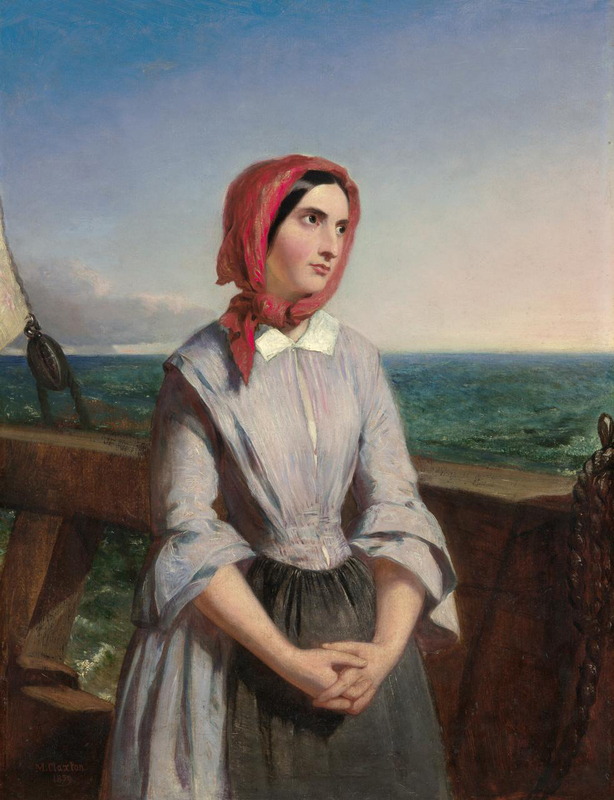 The strength of the horizontal composition of cropped figures underpinned by the ship’s rail is dramatised by the central figure raising her hand – an ambiguous gesture either reaching for a future or reconnecting with family. The complexity of the subject and the narrative the image implies ensured its public success, which resulted in a deconstruction of the original title, ‘European migrants’, by the passengers, four of whom it later emerged were Sydneysiders returning from holiday, alongside two migrants from Egypt and Lebanon.2 Unintentionally Moore’s iconic image has become an ‘historical fiction’, yet the passengers continue to represent an evolving Australian identity in relation to immigration. 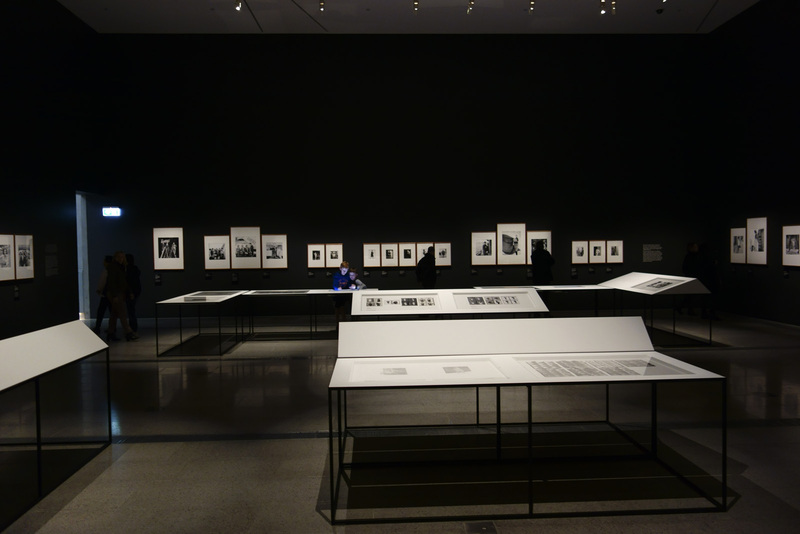 From a posting on the exhibition The Photograph and Australia at the Art Gallery of New South Wales. Ronald Bogue. Deleuze’s Way: Essays in Transverse Ethics and Aesthetics. London and New York: Routledge, 2007, pp. 114-115. Alice Mabel Bacon. Japanese Girls and Women. Boston and New York: Houghton Mifflin Company The Riverside Press, 1891, p. 319. If we think of the camera lens as being fully open, like an eye without blinking, for the duration of the length of the film then the shutter of the lens has to be set on “B” for Bulb which allows for long exposure times under the direct control of the photographer. “The term bulb is a reference to old-style pneumatically actuated shutters; squeezing an air bulb would open the shutter and releasing the bulb would close it… It appears that when instantaneous shutters were introduced, they included a B setting so that the familiar bulb behaviour could be duplicated with a cable release.”4 In other words light waves, reflecting from the surface of objects, are controlled by the photographer over an indefinite period (not the short “snap” of the freeze frame / the decisive moment), accumulating light from thousands of years in the past through the lens of the camera onto the focal plane, coalescing into a single image, controlled and constructed by the photographer. 3. 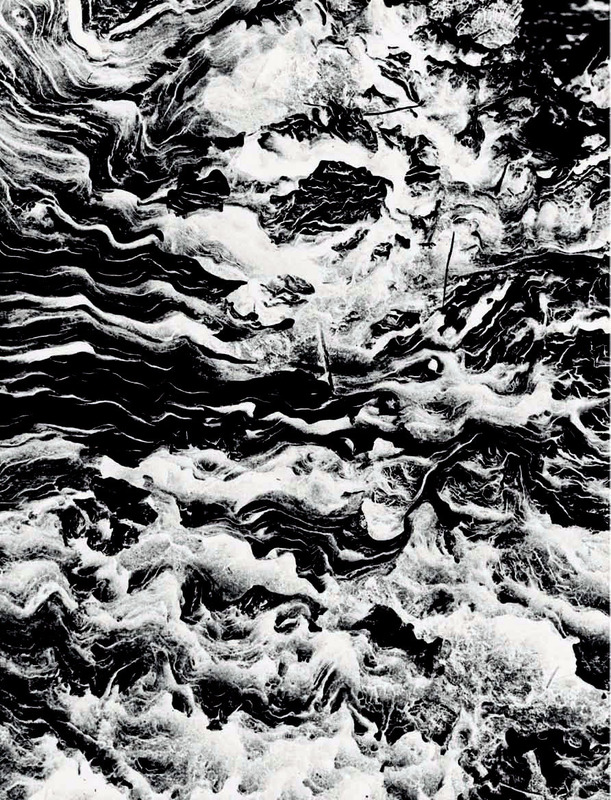 Kellein, Thomas and Sugimoto, Hiroshi. Time Exposed. Thames & Hudson, First edition, 1995, p. 91, quoted on the Media Art Net website. [Online] Cited 08/09/2012. 4. Anon. “Bulb (photography),” on the Wikipedia website. Nd. [Online] Cited 08/09/2012. The clock tower remained until October 1923 when it was demolished to make way for the CML Building. There was a public outcry, and no one was willing to demolish it. However, it was deemed too impractical to move intact, and was brought down by steel cables attached to traction engine. The site of the clock tower is marked by a plaque in the Market Square Shopping Centre. To be frank, this handsomely installed exhibition of the work of Australian fashion photographer Henry Talbot is a bit of a let down. 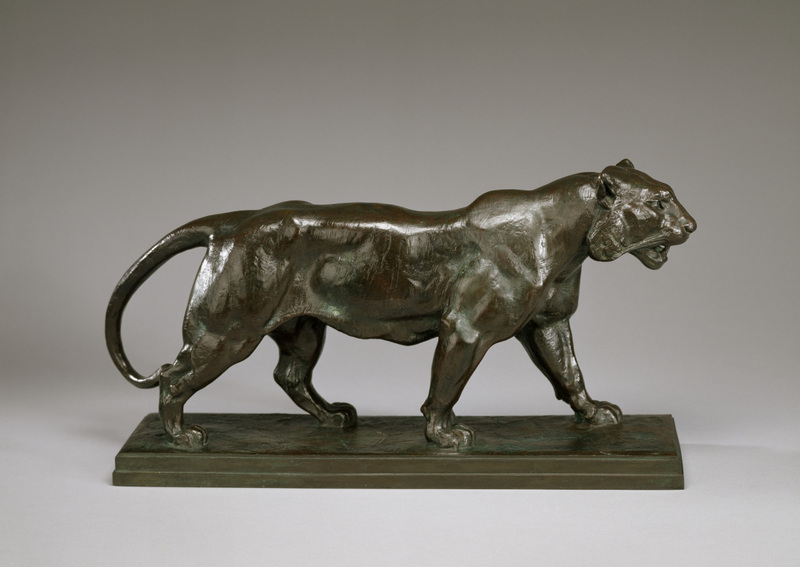 The images look terribly dated, and while historically they have some significance in terms of the time and context from which they emerged – the movement towards en plein air photography, taking the model from the studio to the street – most of the photographs are not very good. The prints are either commercial vintage prints with all their faults (dust, scratches, poor printing, over exposure, lack of burning in etc.) 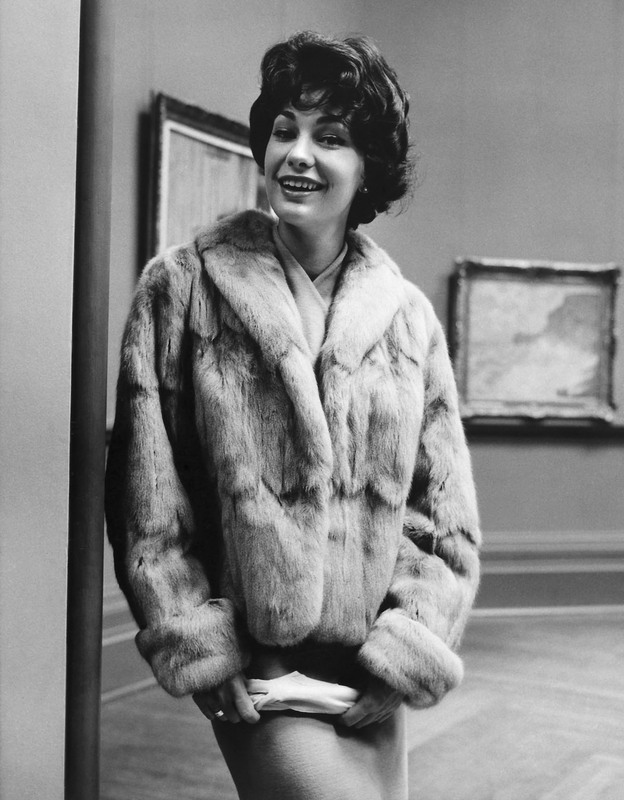 evidencing a lack of care and attention to detail, or modern inkjet reproductions from original negatives and even then some of the printing is poor: for example, the hair of the model in Fashion illustration for Blunden Wool, models Joan Crellin and Bruce Anderson (1961, below) is completely blown out with no detail retained in the highlights. 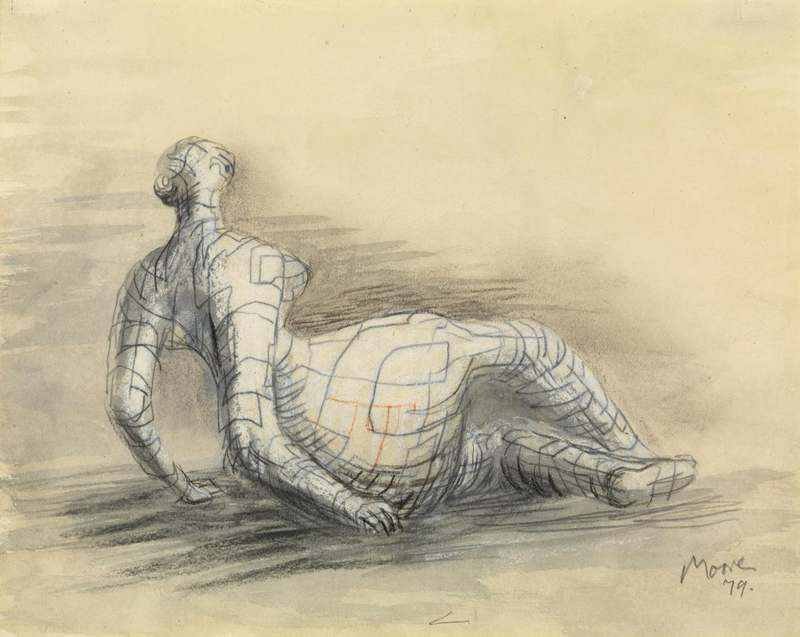 Some of the angles in his images (the positioning of the figure) are just off, the cropping of the negatives (the space above and below the figure) often does not work and framing of the prints is also less than exemplary. 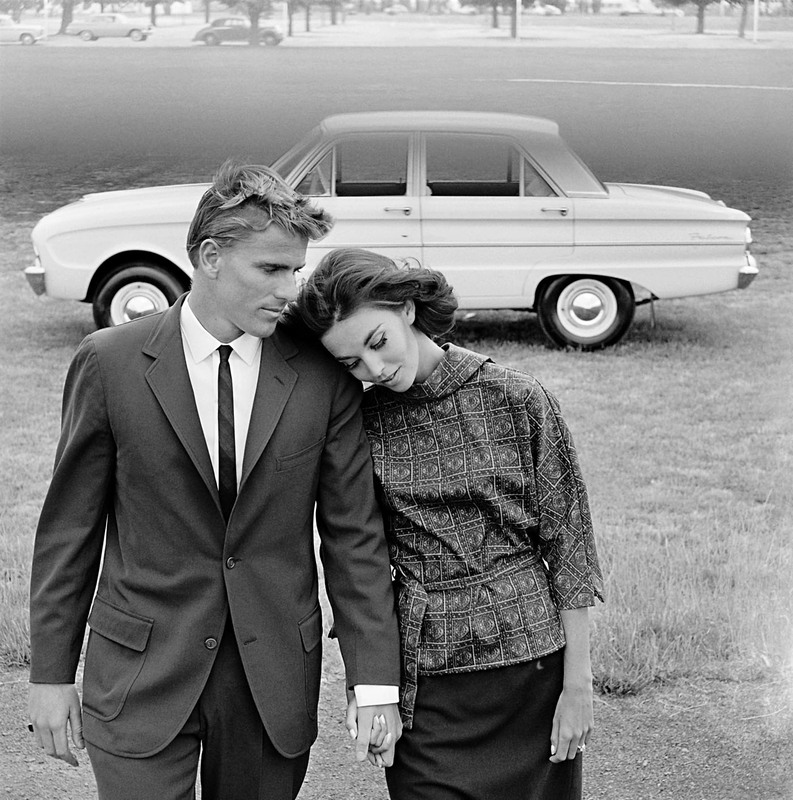 But we must remember Talbot was a commercial photographer from the 1960s and that’s just what these photographs are: commercial fashion photographs that fulfil a client brief. Talbot was no experimenter. Too often his images are really basic, a basic visualisation, and he has a fixed idea for a shot and goes with that idea and variations of it, even when it is evident that the photograph is not working. Any photographer worth their salt would recognise such a situation and be flexible enough to change it up but with Talbot this does not happen. Positioning his model centrally, he usually uses low depth of field so that everything falls out of focus behind. In this sense he still seems to possess a studio mindset. While professing his love of free-moving fashion, his photographs seem stilted and conformist, even as they are taken out of doors. 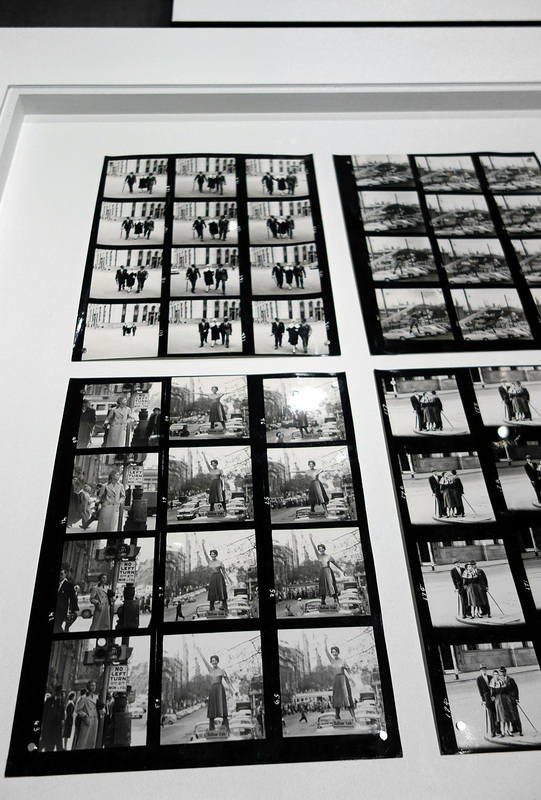 His proof sheets are evidence of a “team” oriented focus in order to fulfil a client brief, but in these very proof sheets we see uneven exposures and severe cropping into the frame to get the final image. And while he was more romantic than the hard edged Helmut Newton, his photographs only ever project a surface and rarely show any true emotion. 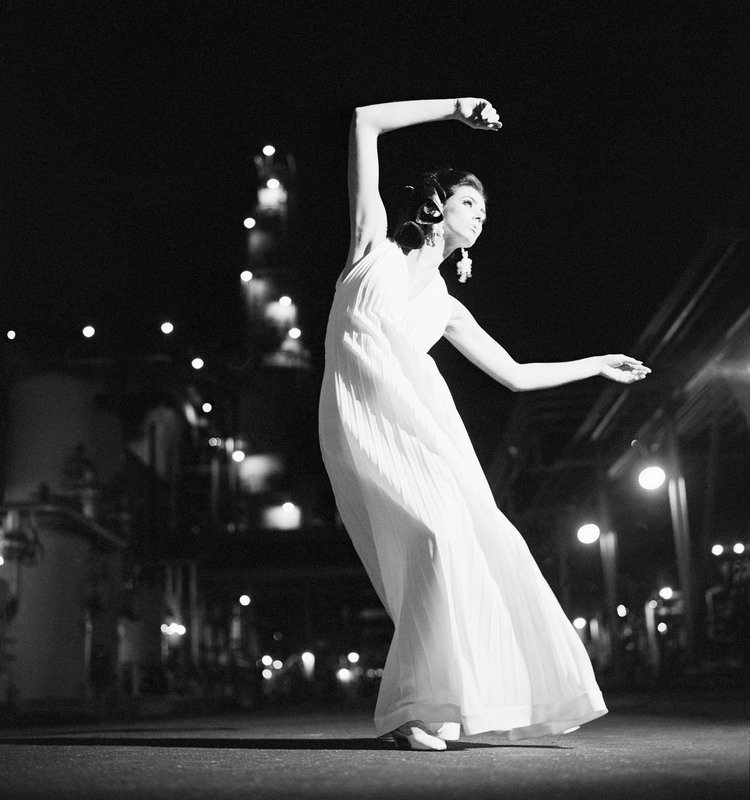 Without doubt his best two photographs are Fashion illustration for Fibremakers, model Maggi Eckardt (1966, below) taken at the Altona Petrochemical Company. The photographs are a symphony of form, movement and light. They possess a “feeling” a lot of his other photographs simply cannot, and do not, contain. There is no catalogue to the exhibition so this posting will have to serve historically to document the exhibition and Talbot’s work. 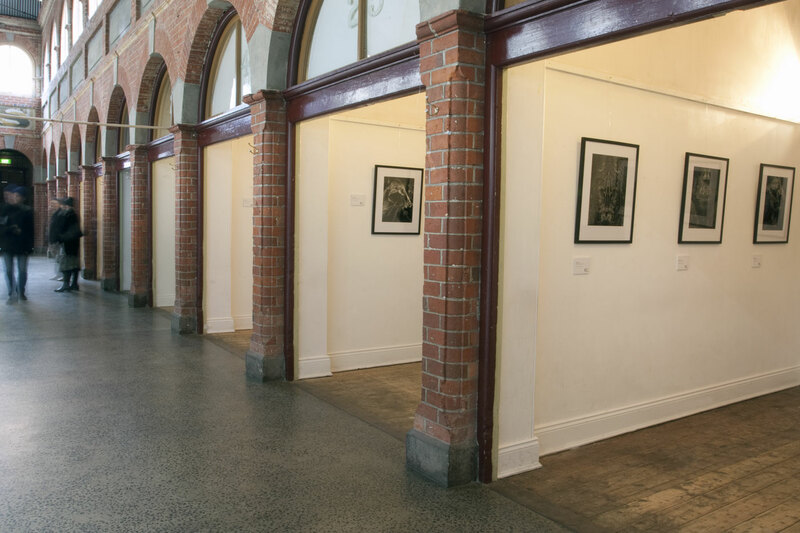 Thus, there is an in depth interview included with Australian curator, artist and photography collector Joyce Evans who ran Church Street Photographic Centre in Melbourne from 1976 and who showed Talbot’s work in her gallery. 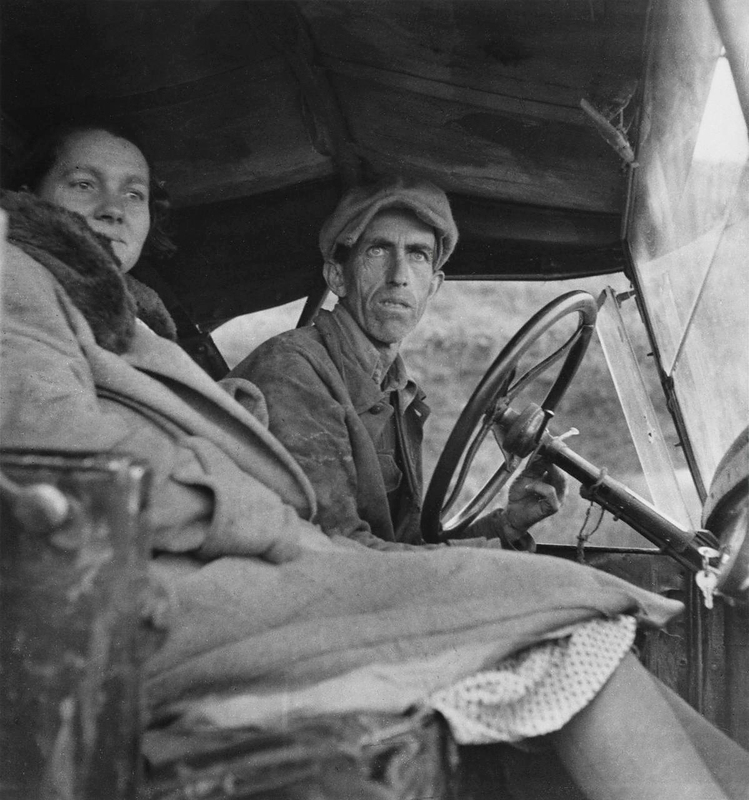 It is all very well that I have an opinion on the work but what I write needs to be an informed opinion, and the interview with Joyce provides valuable background with regard to the people, the era and the context from which these photographs emerged. 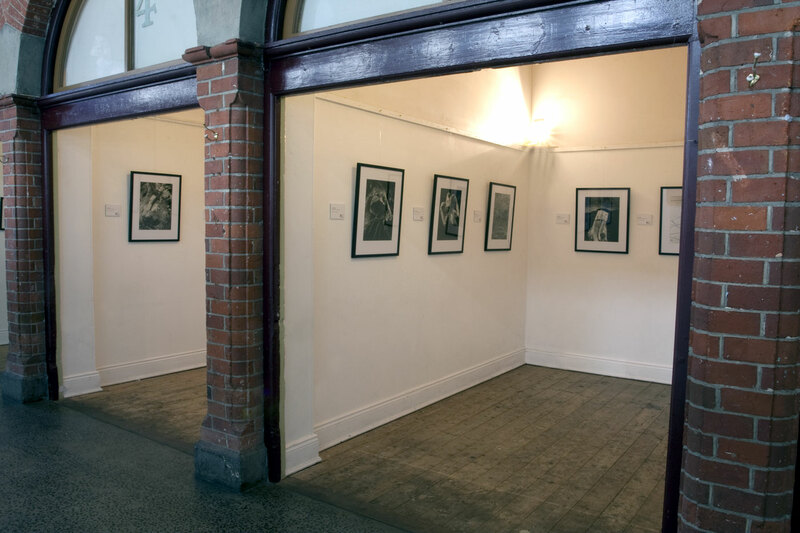 One thing noted in the conversation is that Talbot photographed strong, independent women like Janice Wakeley and Maggie Taberer… something that is not mentioned at all in the wall text and press release that accompanies the exhibition. I would have thought it vital that a curator would have linked the presence of these independent women in fashion photography to the work of art photographers such as Australian artist Carol Jerrems who published her seminal book A Book About Australian Women in 1975. “People said he was good, and he charged enough, but he just thought he was having fun, fun with a certain quality. I don’t think he had any grand ideas about his talent, but he was quite prepared to sell a print or sell his time if someone wanted to pay. Henry knew the fun he was having wasn’t going to last beyond his life. And now, it is weird and very country town that his work should be regurgitated. His work looks poor because people are making him into something he wasn’t. Talbot is a solid photographer, no more. 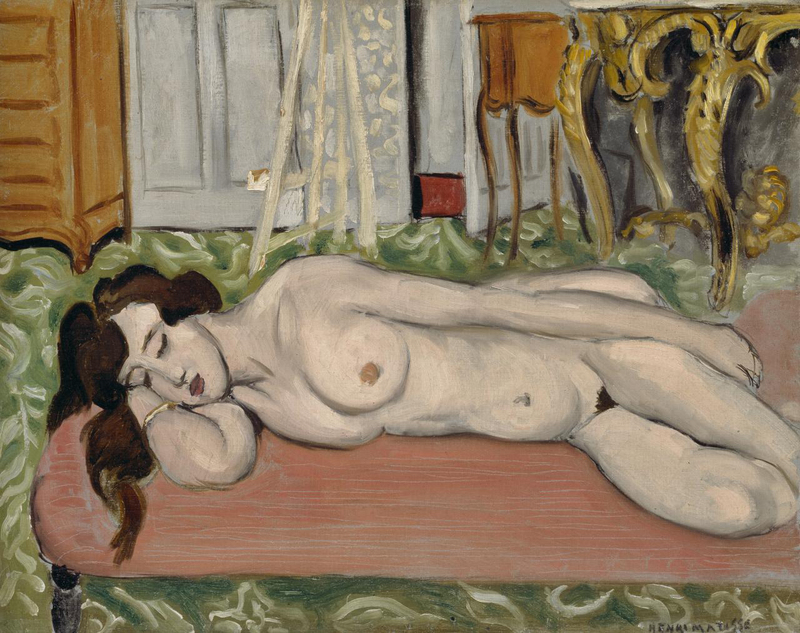 While the exhibition gives some sense of depth to the quality of work that was coming out of Melbourne at that time, perhaps it would have been best to let sleeping dogs lie. Many thankx to the National Gallery of Victoria for allowing me to publish the photographs in the posting. Please click on the photographs for a larger version of the image. 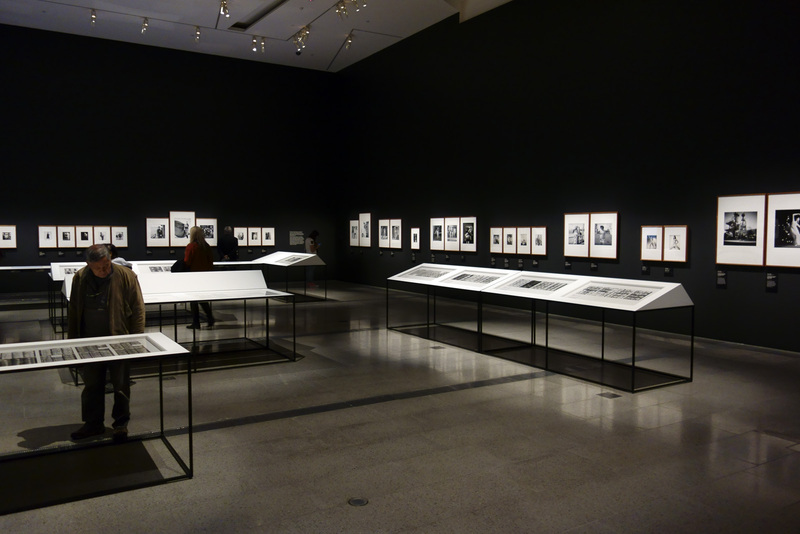 Some installation photographs as noted © Marcus Bunyan and the National Gallery of Victoria. All the rest as noted taken by Brooke Holm for the National Gallery of Victoria. MB: Just before we started this conversation you said to me Joyce that Talbot was a gentle man. Can you explain what you meant by that please? JE: I use the word gentle in comparison to his one-time partner Helmut Newton, who I found to be an aggressive man. MB: So Talbot was intelligent, he knew his field and understood the history of the genre that he was working in, he could speak well, and was well liked both by clients, models and the society in which he worked. JE: Well, he was not a superficial person. When he spoke he researched things properly, he had the depth of knowledge which came from a sort of European intellect. This intellect was broadly read, and he was also a person that listened. JE: In his commercial work, Henry photographed his women (as far as I could see), with the idea of having a client, and he was displaying clothes on the women, which was part of the old tradition. In an environment where, if you wanted to make a living, that’s what you had to do. If he had been, however, in a place like New York – which was avant-garde as compared to Melbourne, which was not avant-garde – he may well have gone the same way as Helmut Newton. The very big difference, though, is in the personality of the two men. Helmut Newton went out and he was an aggressive man. He had charm, but it was an aggressive charm, it wasn’t a gentle charm. He had intelligence and he knew how to handle his women so that he got aggression out of his women, that’s what he wanted. MB: Whereas Talbot was doing it for a job? JE: Talbot A was doing it for a job and B, he had a gentle nature. He was not an aggressive man and actually if you look at those photographs you can see that he liked the women that he photographed and he lived in an environment where fashion was still, fairly soft, in many ways. You can see in things like the swimwear industry and the sports industry there was quite a lot of Australian independence, but he, combined with Athol Shmith in Melbourne, took his models out into the street, they interacted with the environment, and he did not depend on the studio. JE: But who does what is asked of him, at that time? You can compare him to Avedon or Athol Shmith, but you cannot compare him to today. You cannot ask someone to work outside of his own time. You can ask him to lead in his own time and the leading that occurred at that time, by both Shmith and Talbot, was that they took models out into the city and the environment and away from the studio. 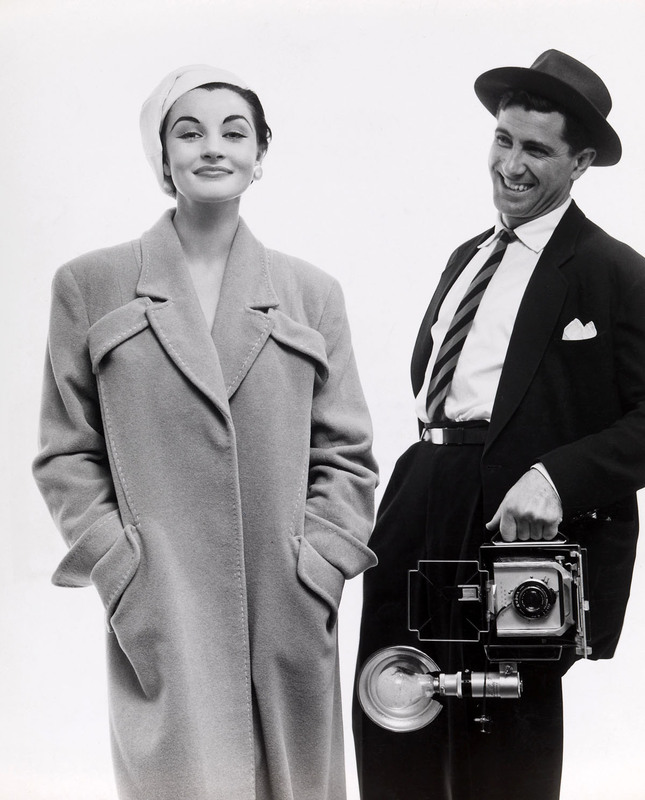 This was something that Avedon did and these two photographers did also. The big argument is, did Talbot do it effectively? Who chose his proofs? Which ones got published? MB: But also, a quite organised and restricted view of the world, even though he was pushing the boundaries by taking fashion photography outdoors, he still seems to be in a studio mindset when he was outside. JE: What you did in those days, is that you would do the shoot, you would come in with your proof sheets, and the art director would go over it with the red crayon with the team – it tended often to be team work. So he’s working to a brief …. and you are the instrument of the team. The art director sets everything up and you do the shoot. Now, when you get a name like Talbot had, you could start to begin to influence what the art director was doing. Now, how much and when and at what time and what effect – I really don’t know. MB: Did he photograph strong women? You mentioned Maggie Taberer and Janice Wakeley. 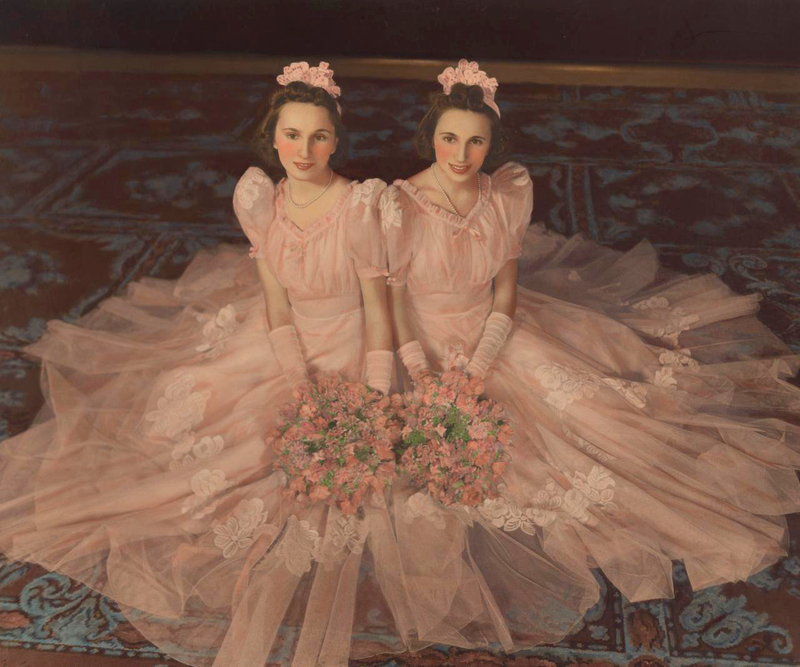 JE: Maggie Taberer and Janice Wakeley – both educated women, well read women – Talbot would have chosen his own models and they were two of his favourites. Or been offered models, depending on the control of the art director and what they desired. MB: Today, all we can do is try and understand the history of these photographs, and the time and context from which they emerged. From today’s standpoint they look rather dated and stilted. 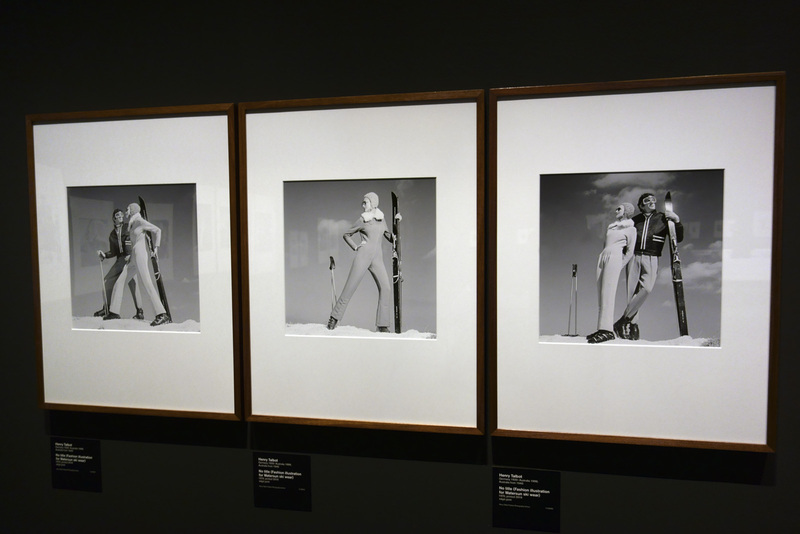 JE: You have to see them from a decade earlier, looking at fashion photography in Australia from the 1930s and 1940s to see what was happening. The 1930s fashion stuff was very very largely in the studio. Very little of it was en plein air. MB: But that doesn’t negate his aesthetic choices to shoot with so low a depth of field that the context of the outdoors becomes more or less irrelevant. 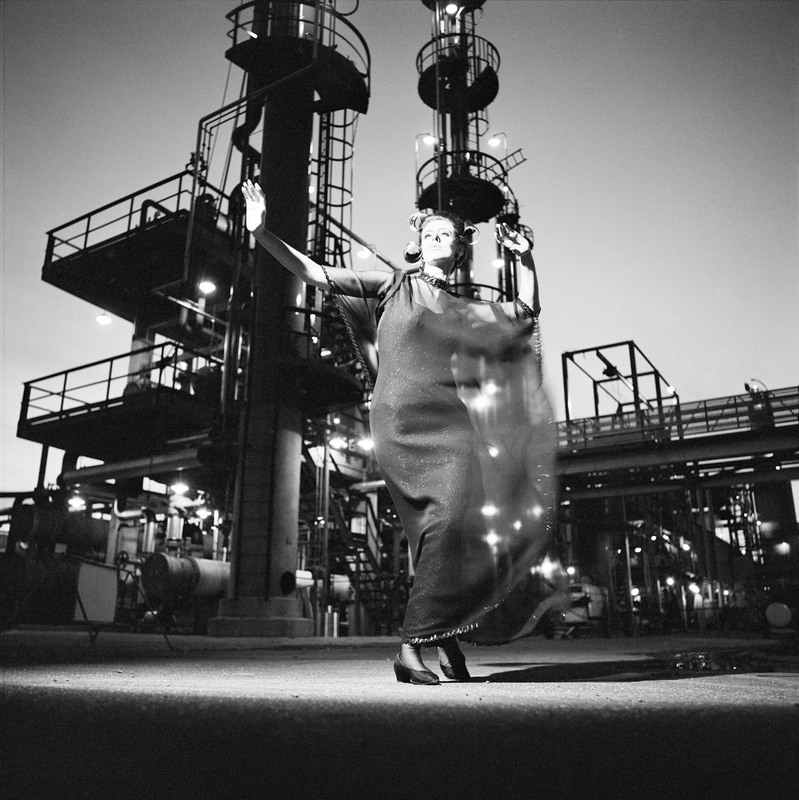 Yes, you have the images of the oil refinery behind with the movement of the women, in my opinion some of his best photographs, that are more romantic in feel… and these tend to work better than other more prosaic shots. MB: Even in his Melbourne images? 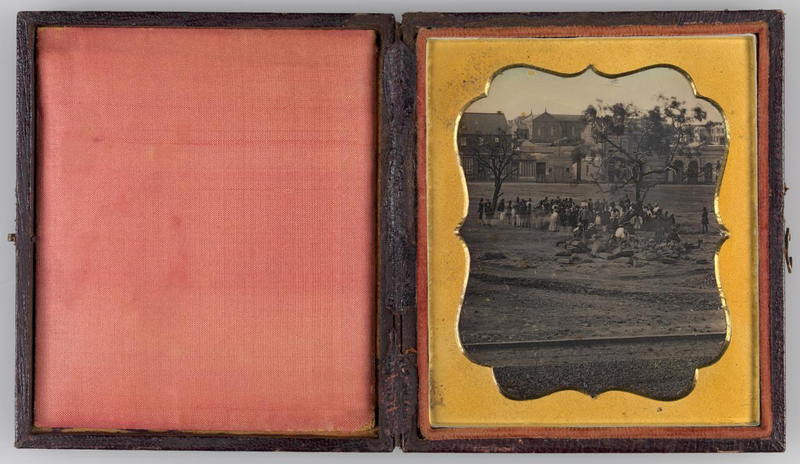 JE: Well, we don’t know Newton’s Melbourne images, because he has denied them all. MB: Yes exactly, that’s the thing. JE: Thinking about Talbot, he was part of a movement. He wasn’t the leader of it or the only one, but he was part of the early evolution of the movement. 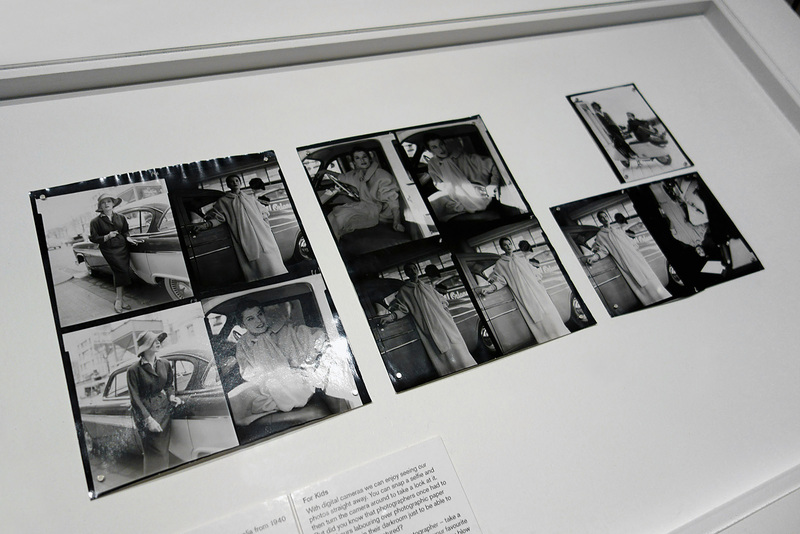 MB: Does that mean his photographs stand up to scrutiny today? JE: I have this feeling that when you only look at the top of the cake, you don’t know what the cake is all about. I don’t know whether I would put him as the fairy on top of the cake or one of the really nice pieces of icing. 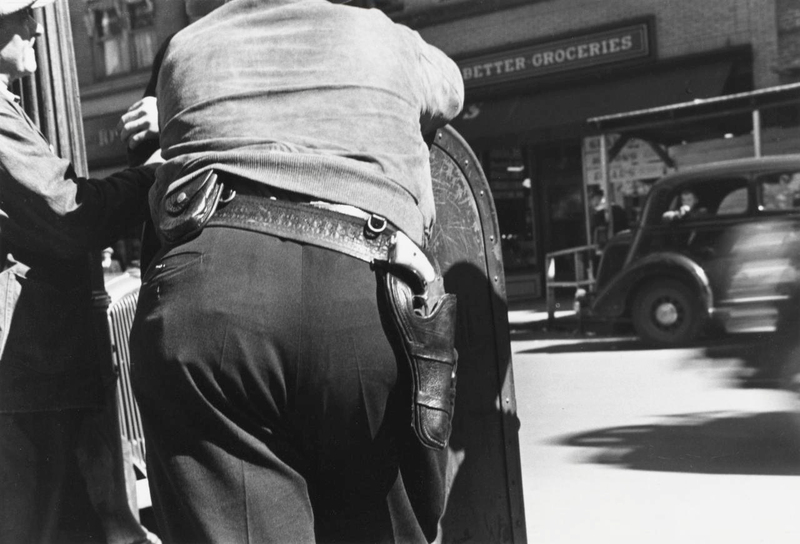 I think that Athol Shmith is a stronger photographer. MB: What about the Australian photographer Bruno Benini? I find him incredibly strong in terms of his style, his lighting. JE: It’s not that, he’s like John Eaton is to Pictorialism, he’s a very good photographer – but he’s not a groundbreaker, he’s not of the beginning of Pictorialism. I think Benini is a very good fashion photographer and I think he is working on other people’s shoulders. 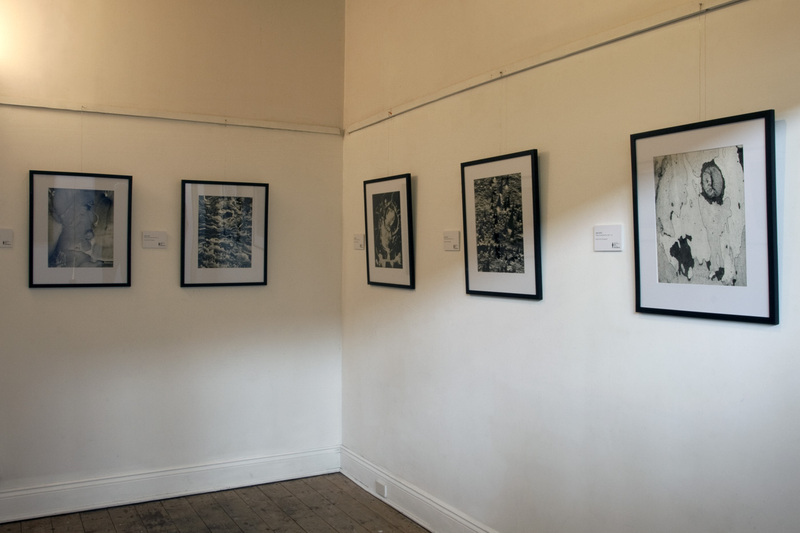 I think Athol Shmith is stronger and if I had a choice about having to show one, but I like the fact that we have shown Talbot, because it gives some sense of depth to the quality of work that was coming out of Melbourne. Places like Sportscraft were exceptionally good at encouraging talent, both in design and in photography. MB: All I can do is understand the history and the context and what was going on at the time and then, as I was thinking the other day, all I can write is what I see. JE: He’s got an idea and he goes for it. MB: And that just really shows a lack of flexibility in his vision. JE: No, I don’t think so I just think that it shows that he knows what he wants and that’s it. MB: I think that is where we differ. JE: He is very professional. How many shots of a person do you make at a time? MB: I work on a ratio of 10 to 1, so if you take 10 shots you will get one, possibly two excellent shots. Talbot must have been thinking I need one good shot and he kept shooting and shooting, even though some of his exposures are poor, even though he radically crops the full frame image to get the final shot. It shows he was not as confident as you think about getting the shot, because he is hedging his bets with his in camera framing, relying on cropping later. JE: He knows he wants her getting this feeling, and he goes bang, bang, bang, head turned slightly, arm down slightly and that’s it… and he knew what he wanted at the beginning and then he just saw the variations to fine tune it. And that’s what every photographer tends to do. MB: And that’s where I really think there is a problem with his photography. Most of his images don’t really work – and yet he never recognised that fact at the time, when he was taking or setting up the shot, that it was not working. Any good photographer worth his salt, worth his previsualisation of the shot, must know how to adapt and be flexible enough to change on the run. He didn’t recognise that they weren’t working and change the idea. That’s the problem I have with him. It shows a fixed mindset in terms of not being able to see through the viewfinder when a shot is not working. MB: Let’s leave it there. Thank you Joyce so very much for your thoughts. “There is little an Australian fashion photographer can do that has not been done overseas, and often better. But one thing they do not have is our Australian environment. I use it a great deal because the idea makes it possible to come up with something uniquely different. 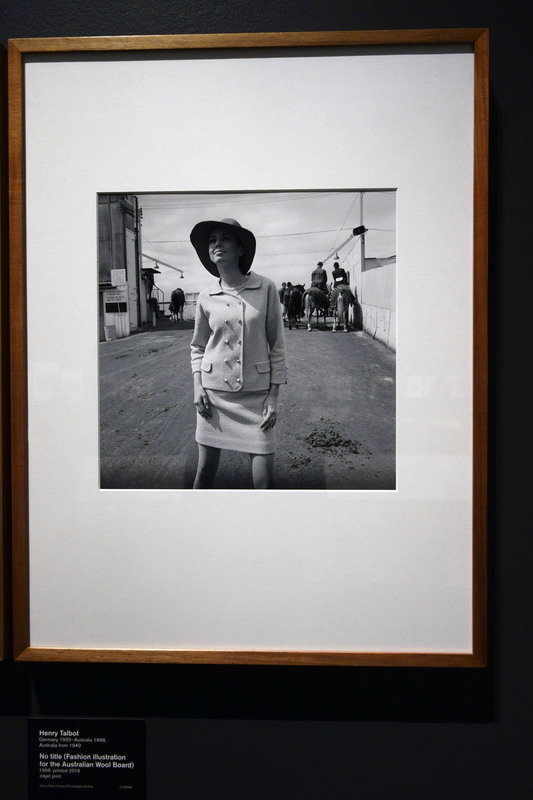 “The striking and youthful fashion of 1960s Melbourne is the starring subject of more than eighty photographs by fashion photographer Henry Talbot, many of which have never been exhibited before. Showcasing the shifting face of fashion from a time that has captured popular imagination, many of the images have never been seen since their original publication 50 years ago and offer an insight into the styles and attitudes of the 1960s. 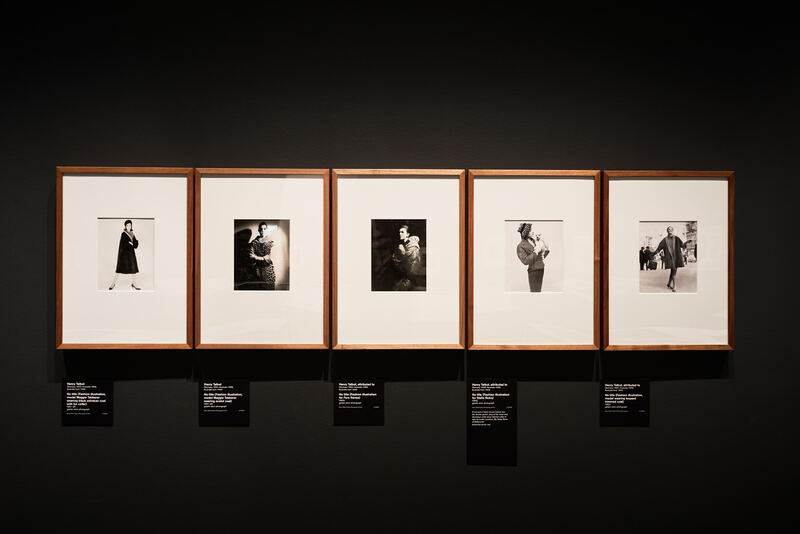 The photographs on display have been carefully selected from an extraordinary archive of 35,000 negatives that Talbot gifted to the NGV in the 1980s. 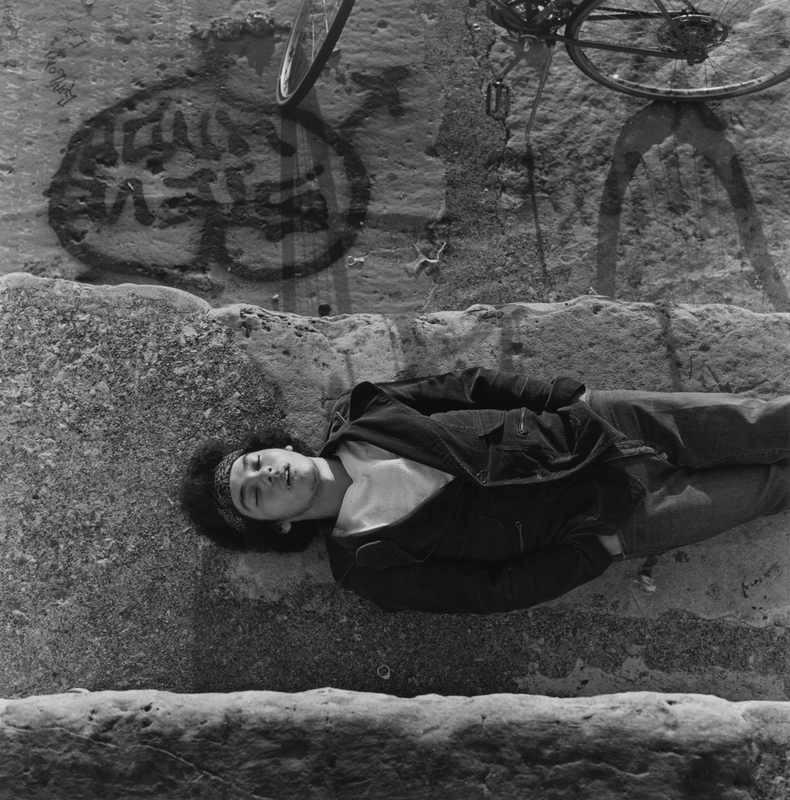 “Henry Talbot’s photography captures the exuberance and changing times of a generation. 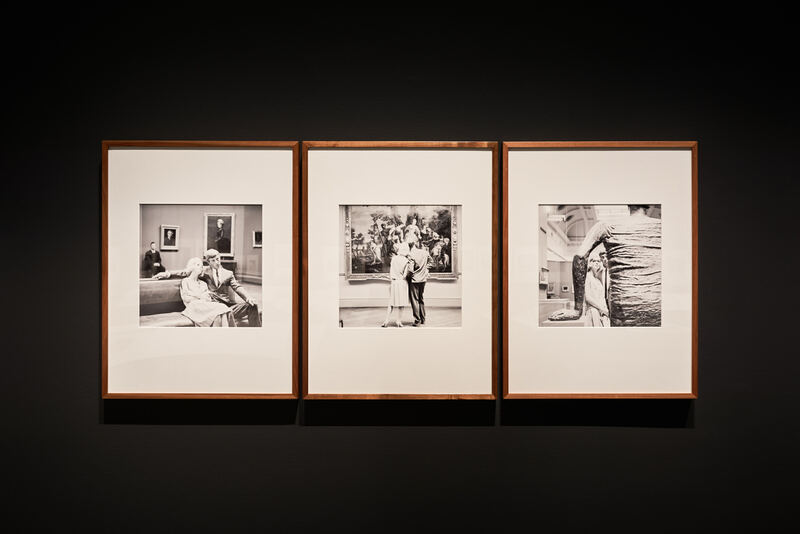 His modern photographs depict an emerging youth culture and offer an insider’s look into a thriving cultural scene during the 1960s,” said Tony Ellwood, Director, NGV. A European émigré artist from Germany, Talbot brought an invigorating internationalism to Australian photography and partnered with Helmut Newton. Their Flinders Lane studio was very successful enterprise and secured major clients including the Australian Wool Board and Sportscraft. 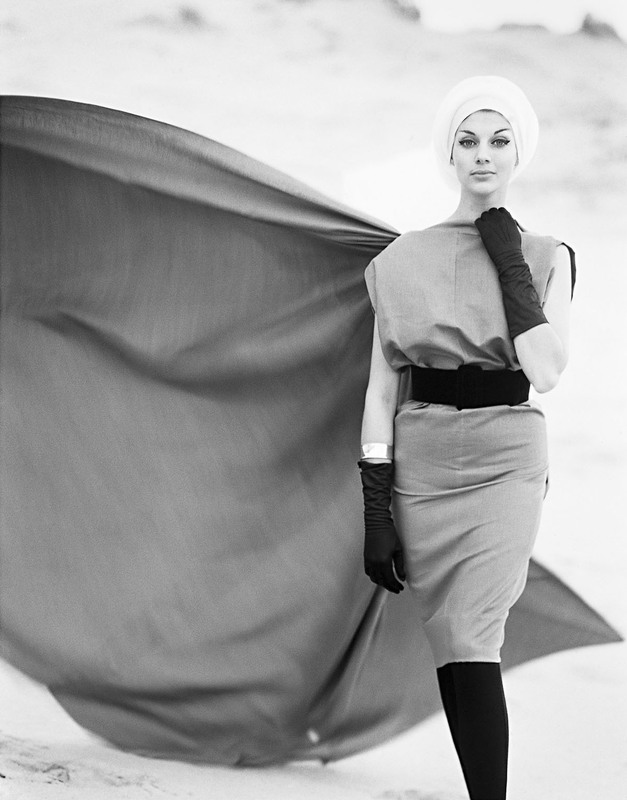 It was during the 1960s that Talbot established his place as a dynamic force in Australian fashion photography and his work was regularly published in Australian Vogue. 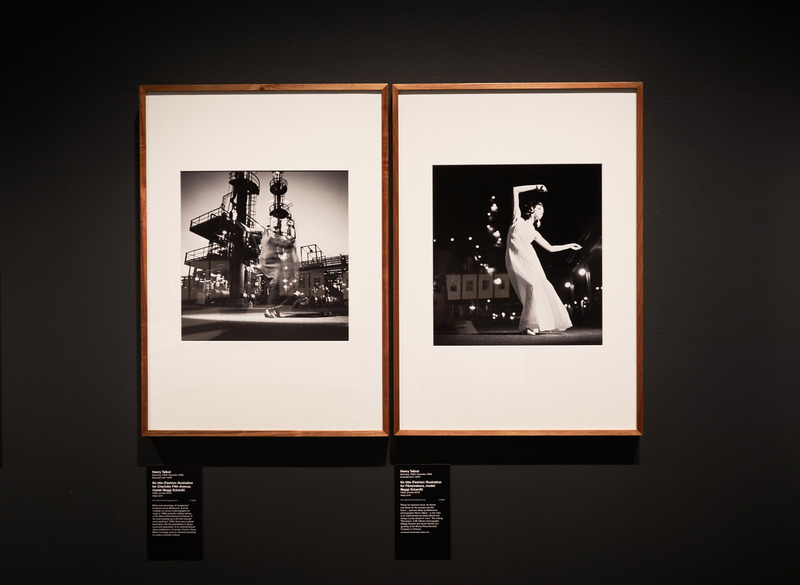 The exhibition includes some of Talbot’s beautiful fashion spreads from 1960s Australian Vogue, providing a visual history that chronicles the magazine’s first decade in Australia. 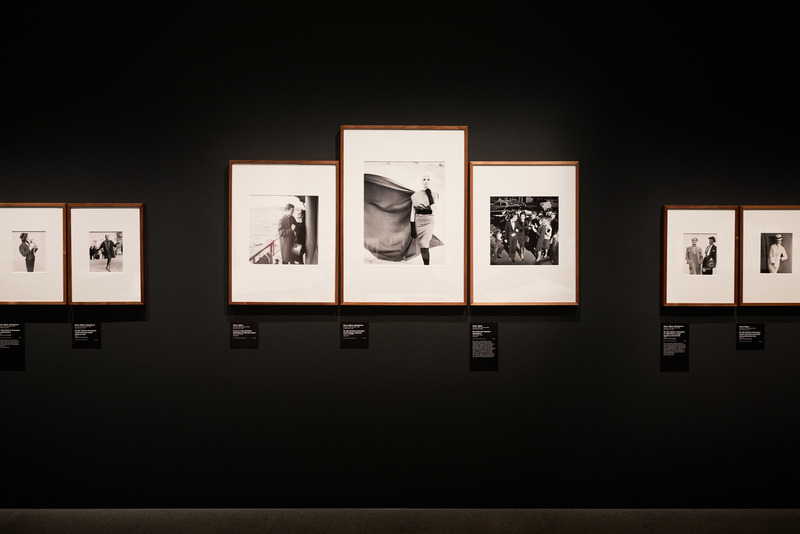 The photographs will be presented alongside a display of early edition Australian Vogue magazines, including those in which Talbot’s photographs originally appeared, offering an insight into the aspirational fashion and lifestyle choices of Australians living in this era. 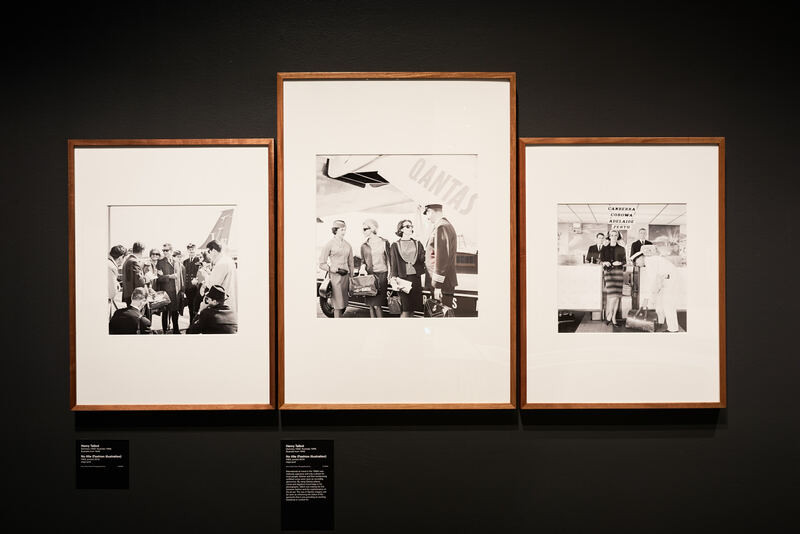 Talbot’s photography also highlights the public’s affinity with uniquely Australian brands, such as Qantas and Holden. 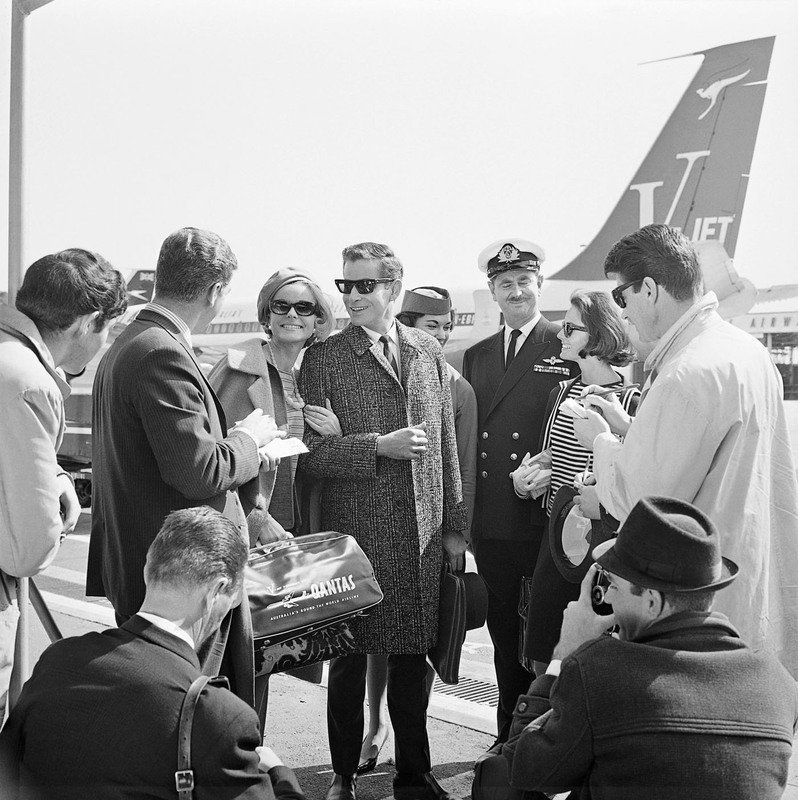 Fast cars and air travel were aspirational luxury experiences in the 1960s and, as a result, airports, planes and brand new cars were the glamorous setting for many of Talbot’s photographs, demonstrating his astute understanding of current trends and consumer culture. From an outback sheep station, to lamp-lit streets of Melbourne, Australian cityscapes and landscapes also provided the backdrop to some of Talbot’s most arresting photographs. 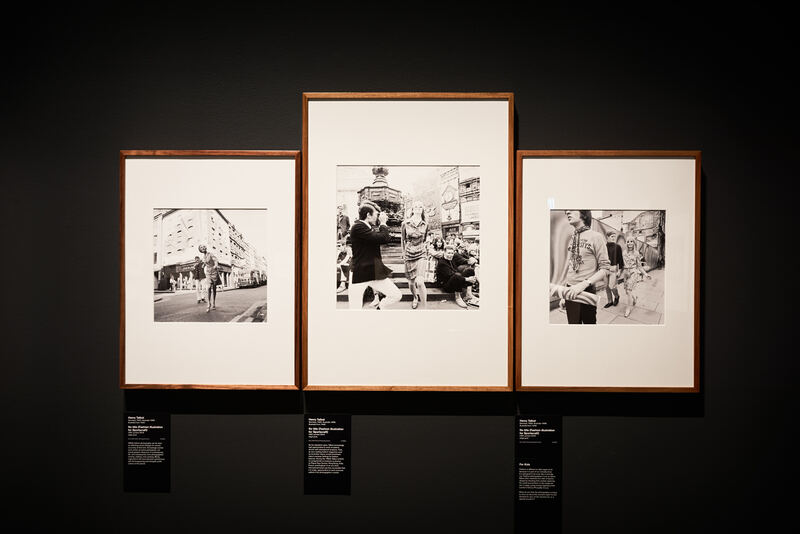 Shot on location around Melbourne, these photographs showcase Talbot’s adventurous style and ability to transform 1960s Melbourne into scenes that looked like Paris, London, New York – a testament to his ‘international eye’. A photographer with an astute vision, Talbot also ingeniously transformed Altona Petrochemical Company into an intergalactic, futuristic setting that captured the public’s fascination with space travel during the ‘space race’ of the 1960s. This exciting suite of images demonstrates the ways in which space travel permeated popular culture, including space-age fashion trends. Henry Talbot was born in Germany in 1920. As a young man he studied graphic design and photography in Berlin and Birmingham. After leaving Germany in 1939, he arrived in Australia in 1940. Following a period of internment, Talbot then served in the Australian army. 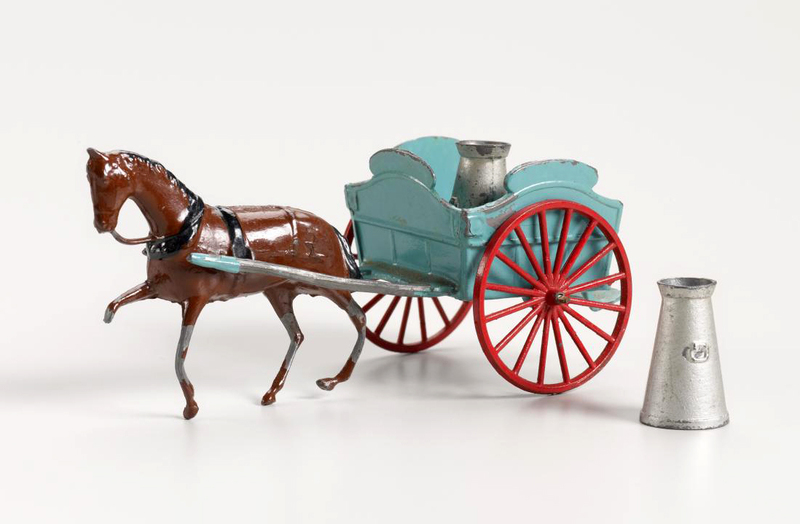 In the postwar years he left Australia, travelling to South America and Europe, before returning to Melbourne in 1950. At the time Melbourne was the most important centre of fashion in Australia because of the abundance of textile and garment manufacturing in Flinders Lane; boutiques in the Paris End of Collins Street, and major department stores around the city. Working with the right model was as important to the success of Talbot’s images as choosing the right location. Like most photographers he had his favourite models, and often worked with Janice Wakely, Maggie Tabberer, Helen Homewood, Maggi Eckardt and Margot McKendry. The locations used by Talbot were an important aspect of his image making; they played a significant role in the implicit narratives he constructed in his fashion photography. 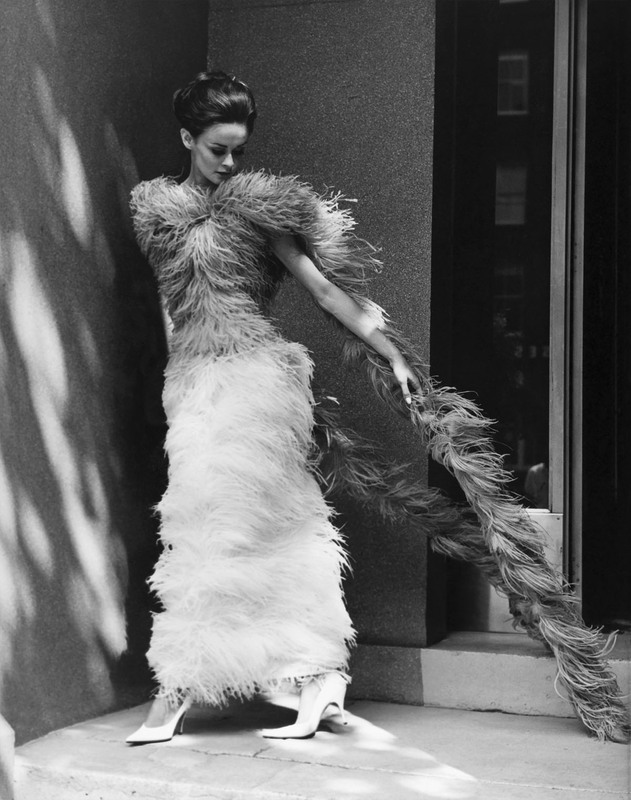 Talbot’s work, like most fashion photographs, presents an aspirational ideal. 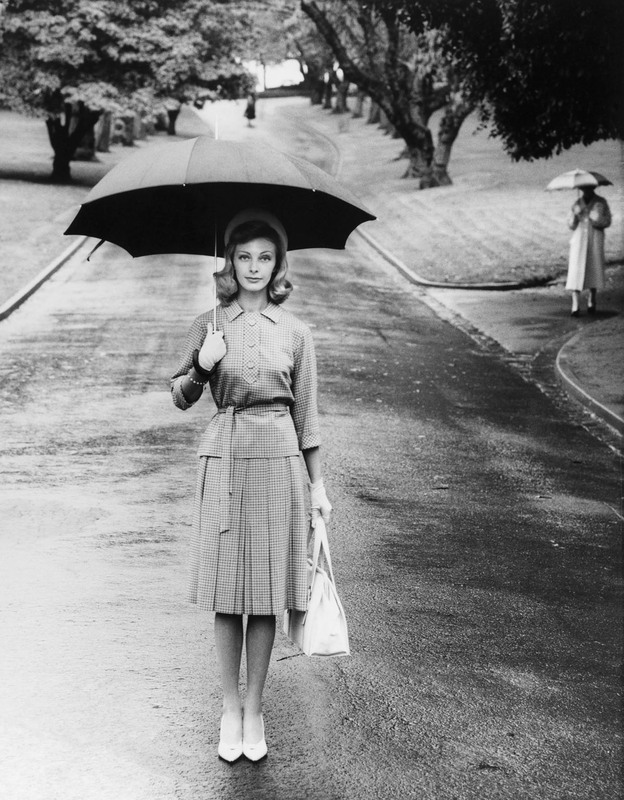 In his case a picture of the modern woman – at an opening night; arriving at the airport; on the streets of London; visiting an art gallery; or in a beatnik coffee bar – who looks effortlessly up to date and glamorous because she has bought the perfect garment. 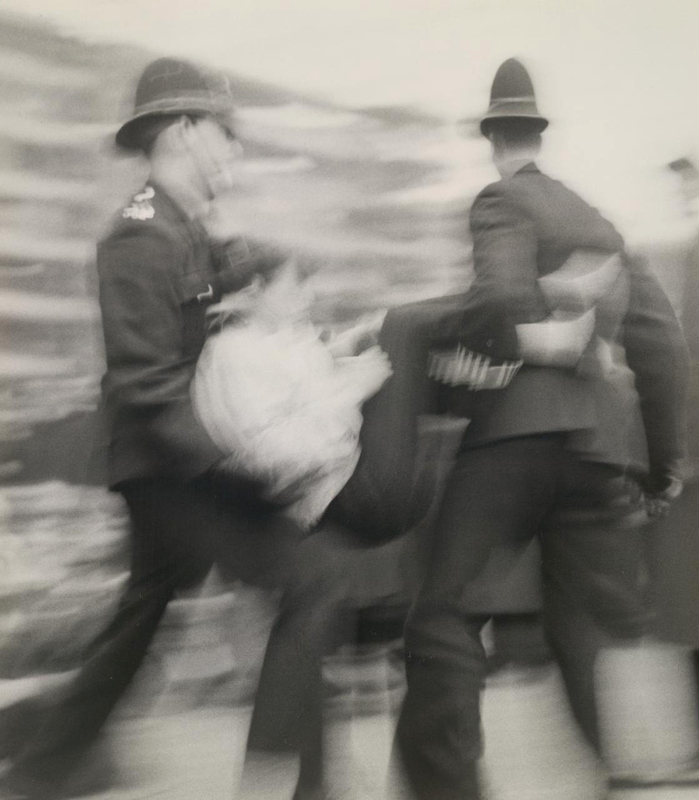 The 1960s was a period of social turbulence, when youth-led movements changed the world. In Australia it was a time of prosperity: employment rates were high and, for many, the opportunities seemed boundless. The fashions of the day, including mini skirts and hipster pants, reflected the “youthquake” that was shaking up the status quo. Photography studios made the transition to the 1960s by creating images with a fresh, contemporary edge, and increasingly worked on location rather than in the studio. 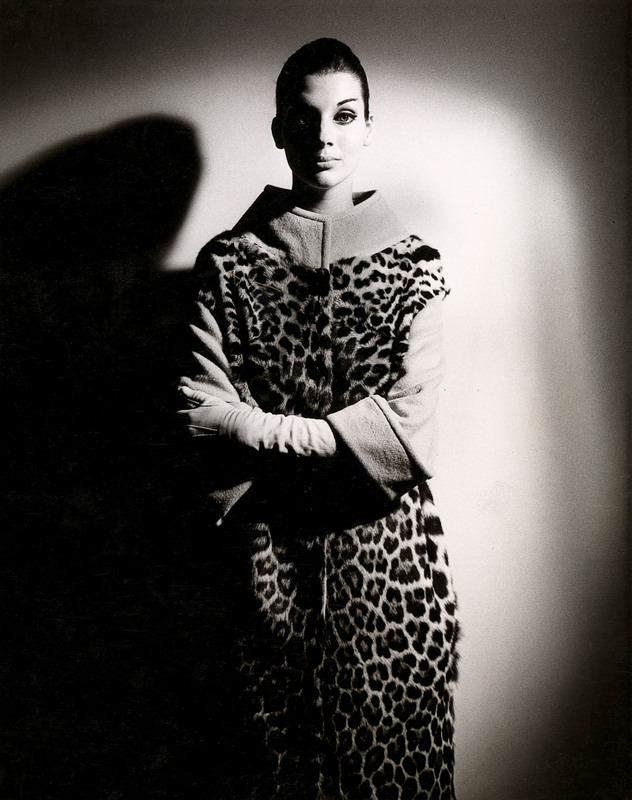 Henry Talbot began to work in fashion photography in the 1950s, but it was in the 1960s that he established himself as a leading force in Melbourne’s fashion industry. 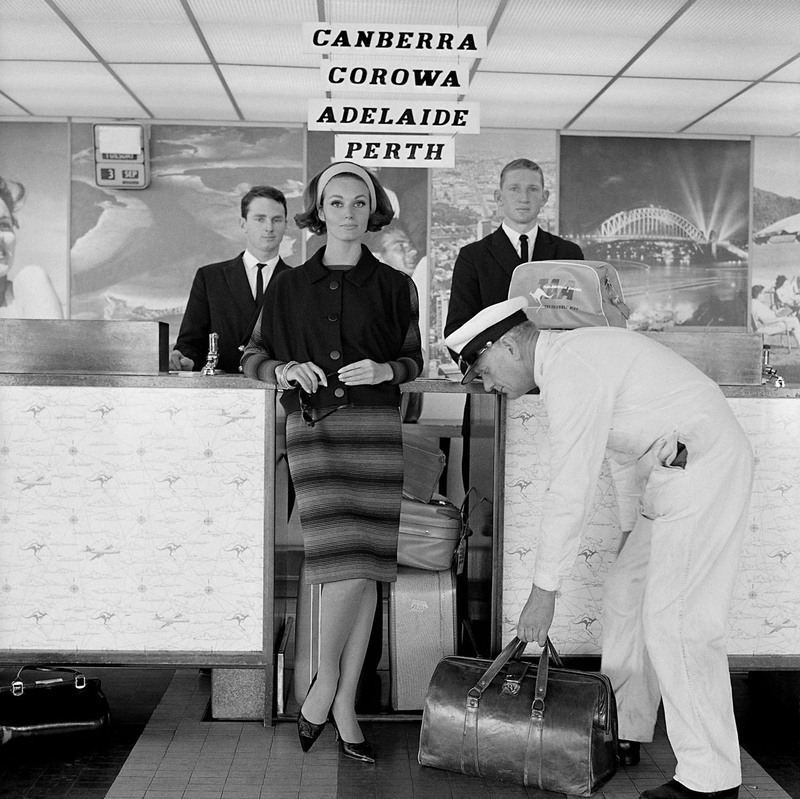 He worked for designers and manufacturers, department stores and boutiques, as well as on the job for the Australian Wool Bureau, taking photographs that showed Australian fashion to the world. Iain Murray Rose, AM (6 January 1939 – 15 April 2012) was an Australian swimmer, actor, sports commentator and marketing executive. He was a six-time Olympic medalist (four gold, one silver, one bronze), and at one time held the world records in the 400-metre, 800-metre, and 1500-metre freestyle (long course). He made his Olympic debut at the 1956 Summer Olympics as a 17-year-old and won three Olympic medals, all gold. Four years later, as a 21-year-old, he won three Olympic medals (one gold, one silver, one bronze) at the 1960 Summer Olympics. At the age of 17, Rose participated in the 1956 Summer Olympics in Melbourne. He won the 400-metre and 1500-metre freestyle races and was a member of the winning team in the 4×200-metre freestyle relay. Winning three gold medals in his home country immediately made him a national hero. He was the youngest Olympian to be awarded three gold medals in one Olympic Games. Afterwards, Rose moved to the United States to accept an athletic scholarship at the University of Southern California where he received a Bachelor of Arts degree in Business/Communications. He continued competing while at USC, and graduated in 1962. At the 1960 Summer Olympics in Rome, Italy, Rose again won an Olympic gold medal in the 400m freestyle, as well as a silver in the 1500m freestyle and a bronze in the 4 x 200m freestyle relay, bringing his haul to six Olympic medals. In addition to his Olympic medals, he won four gold medals at the 1962 Commonwealth Games in Perth, Australia. He eventually set 15 world records, including the world record in the 800-metre freestyle in 1962, which was not broken until Semyon Belits-Geiman set a new record in 1966. Rose continued to compete as a masters swimmer. During the 1960s, he also pursued an acting career, starring in two Hollywood films and making guest appearances on television shows. Maggie Tabberer AM (also known as Maggie T; born 11 December 1936) is a dual Gold Logie-winning Australian fashion, publishing and media/television personality. Maggie’s first modelling job was a one-off assignment at the age of 14, after a photographer spotted her at her sister’s wedding. She attended a modelling school in her early twenties, and at the age of 23 was discovered by photographer Helmut Newton, who mentored her and launched a highly successful modelling career. 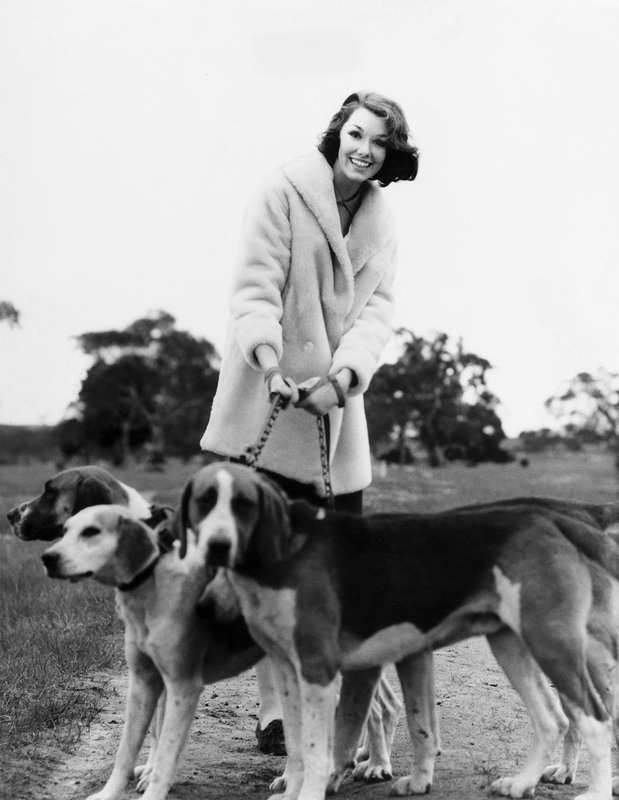 While living in Melbourne in 1960, she won ‘Model of the Year’, and moved to Sydney to take advantage of the modelling opportunities there, but she chose to end her modelling career at the age of 25 after she began to lose her slim figure. 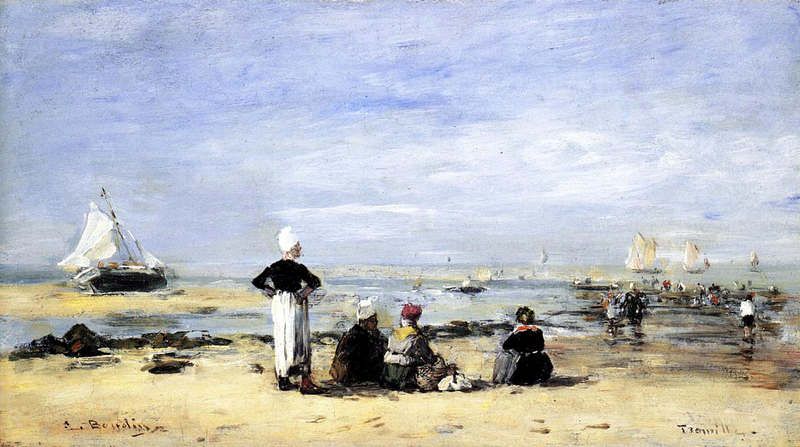 Tabberer stayed well connected to the fashion industry, however. In 1967 she started a public relations company, Maggie Tabberer & Associates, which took on many fashion-related clients and assignments. In 1981, she launched a plus-size clothing label called Maggie T. A portrait of her by Australian artist Paul Newton was a finalist in the 1999 Archibald Prize. Tabberer began working in publishing when she wrote a fashion column, “Maggie Says”, for Sydney’s Daily Mirror newspaper in 1963. She remained with the paper for sixteen years, until billionaire Kerry Packer asked her to become fashion editor of Australian Women’s Weekly magazine in 1981, and she soon became the public face of the magazine, frequently appearing on its cover and television advertising. Tabberer stayed with Women’s Weekly for fifteen years until 1996. Tabberer began appearing on television in 1964, as the “beauty” on panel talk show Beauty and the Beast (the “beast” being the show’s host: Eric Baume until 1965, and then Stuart Wagstaff). Tabberer’s appearances on Beauty and the Beast made her a household name, and she began hosting her own daily chat show, Maggie, for which she won two consecutive Gold Logies, in 1970 and 1971. She was the first person to win back-to-back awards, although Graham Kennedy had already won three non-consecutive Gold Logies by 1970. 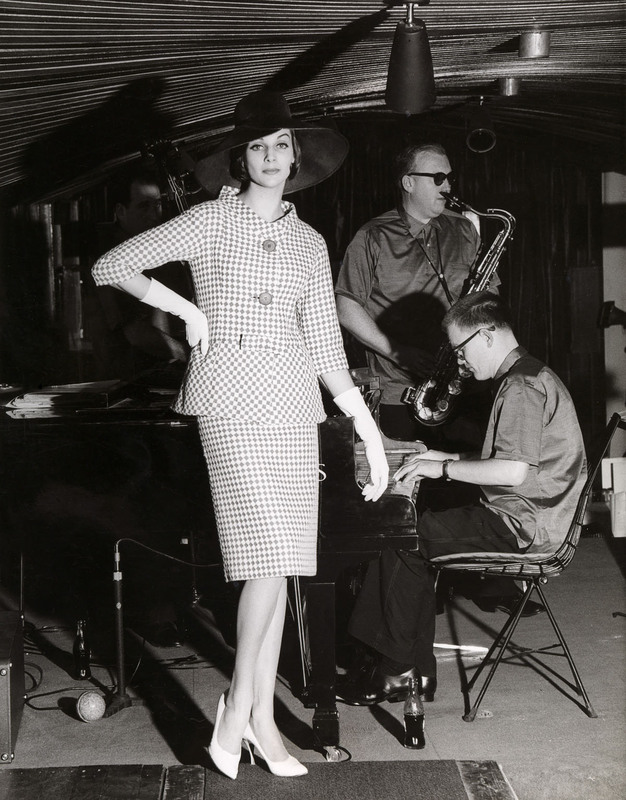 Janice Wakely, fashion model and photographer, graduated from Sydney’s Mannequin Academy in 1952 and began her modelling career in Melbourne two years later. 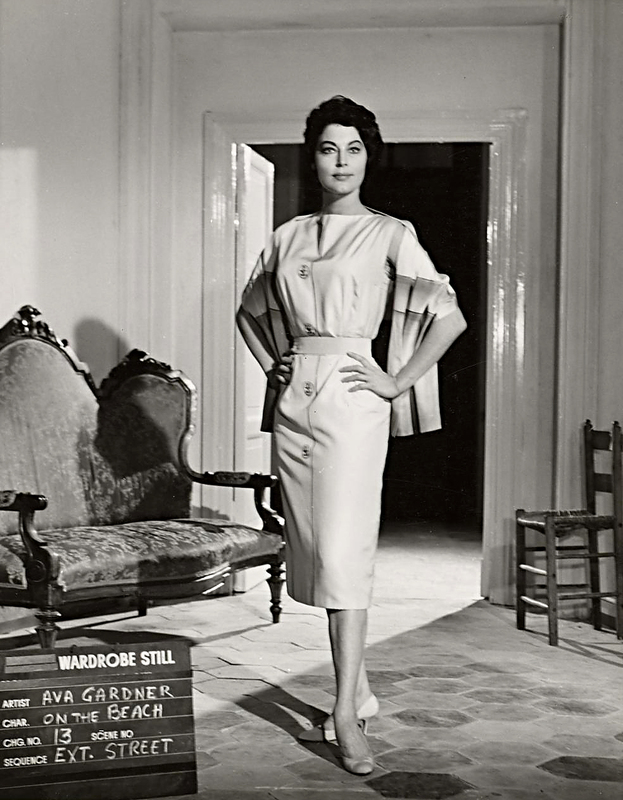 Dismissed as ‘too thin’ by various Australian agencies after working on a Department of Trade-sponsored fashion tour to New Zealand in 1956, she decamped for London. Within ten days, Wakely snared a shoot with Marie Claire in Paris and St Tropez; soon, she was dubbed ‘The Girl of the Moment’ with ‘The Look of 1958’. 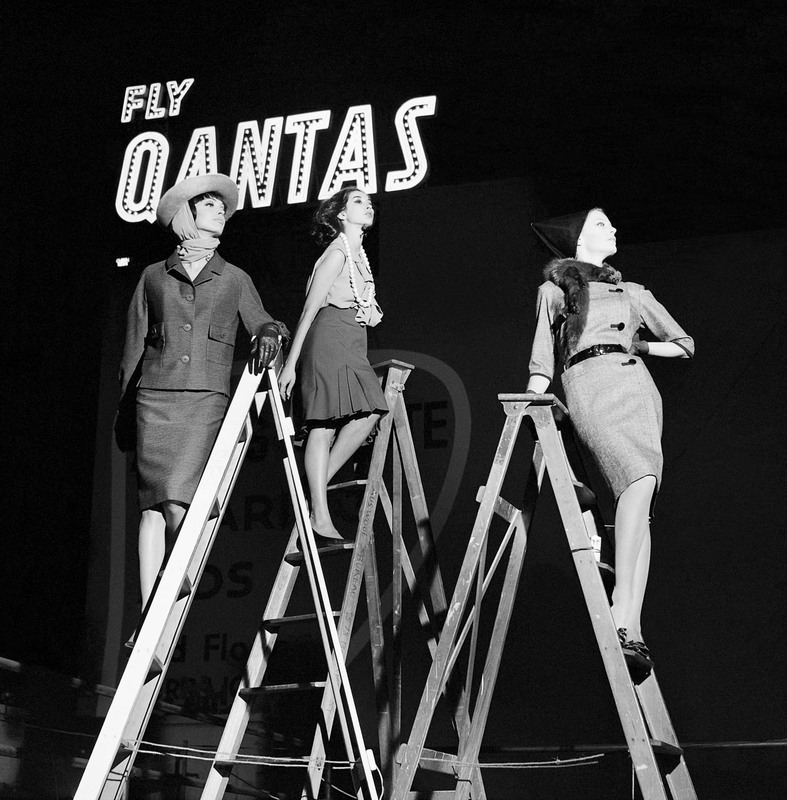 Returning to Australia in 1958, Wakely commandeered the camera herself, proceeding to capture photographers such as Helmut Newton, Athol Shmith and Henry Talbot while they worked with models on location. During this time, Wakely maintained a strong presence in front of the camera. Photographed by Terence Donovan in London in 1960, in 1961 and 1962, she starred in the All-Australian Fashion Parades, was featured on the cover of The Women’s Weekly, was Model of the Year and wore the Gown of the Year. 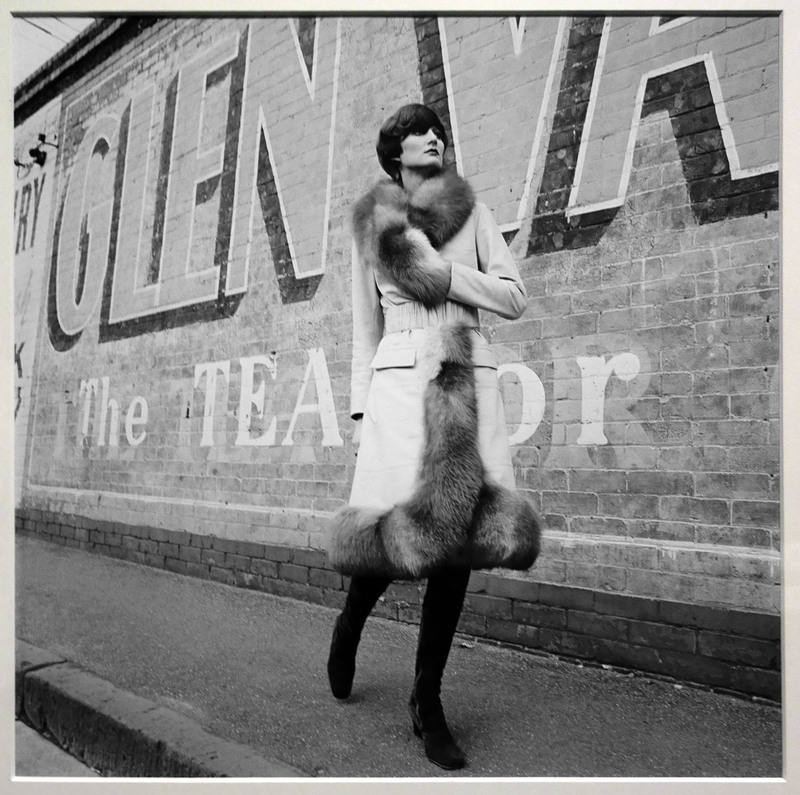 Then, in 1963, she stepped down from the catwalk, establishing the Penthouse modelling agency and photographic studio in Flinders Lane, Melbourne with co-model Helen Homewood. 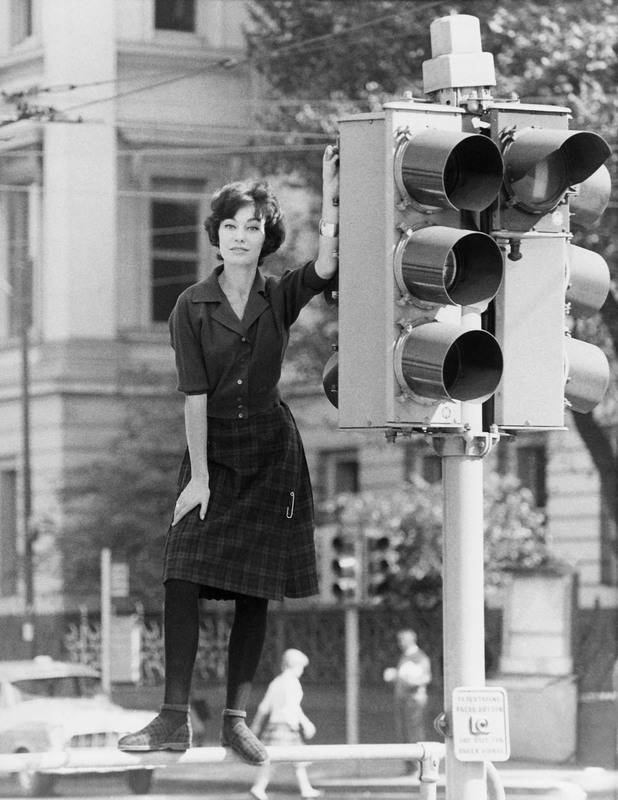 After an overseas tour in 1965, Wakely returned to Melbourne and set up a studio with fashion photographer Bruno Benini, who, according to People magazine, had “given many other girls a helping hand up the ladder to success”. 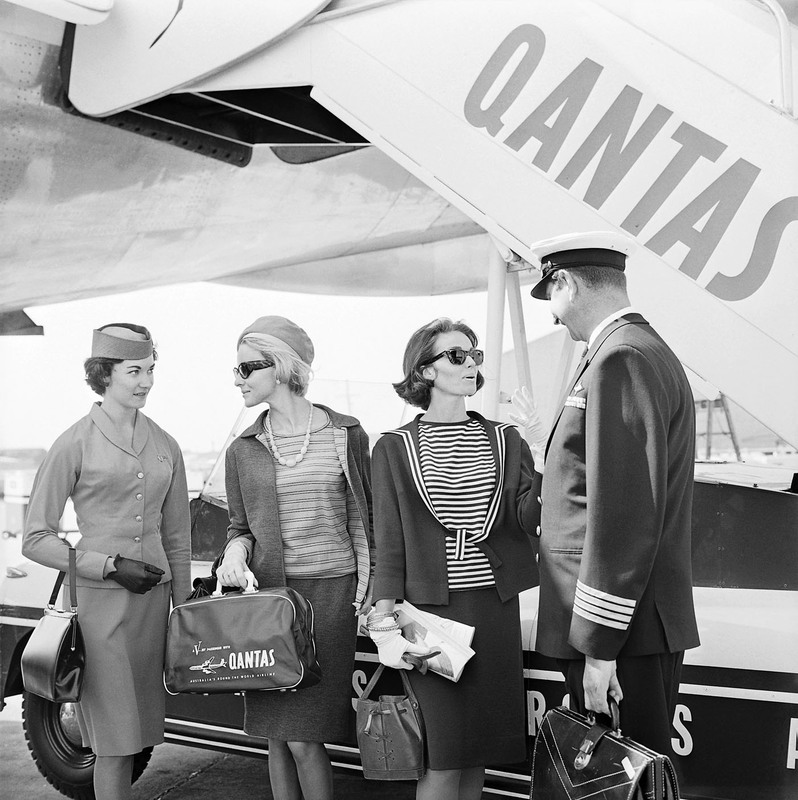 Wakely commented in 1968 that “the Australian sense of fashion is appalling”. Thank you so much for your excellent speech on Saturday. It was strong, heartfelt and beautiful. Up there with the microphone you were probably not aware of the sentiment in the space. Many tears were shed. The grand daughters were so happy to be there. They were near me during your talk and extremely emotional. Many others were too. It was more of a wake really than an exhibition opening and book launch. Some people had travelled a long way and everyone wanted to be there. The warmth and tenderness was palpable and will be remembered for a long time. Thank you for being such a major part of it and for putting your heart into each word. 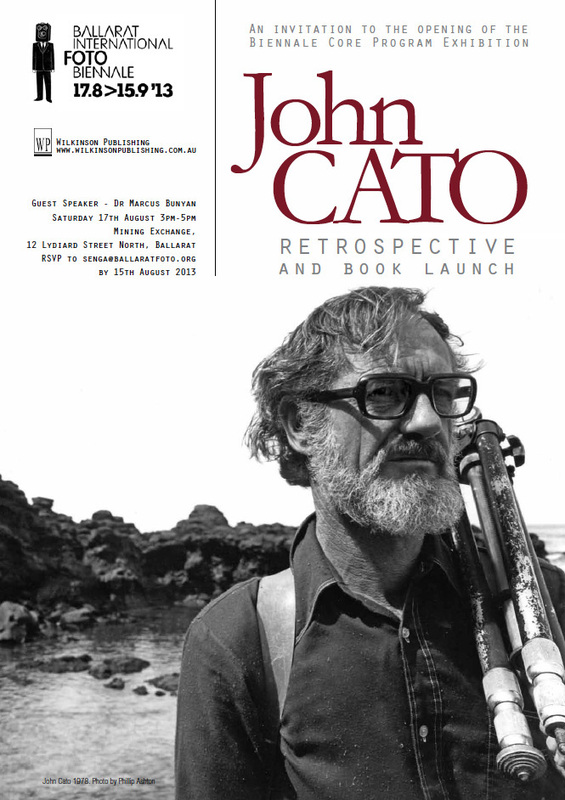 Many thankx to BIFB for asking me to officially open the John Cato Retrospective and to launch the new book. It is a great pleasure to be here today to officially open the John Cato Retrospective and to launch a book that will have a major contribution to a continuing assessment of John’s work and is also an honouring, a mark of respect and admiration. These brief words are not about the many sides of John and all his aspects and careers – for that you will have to look elsewhere – but they are a short introduction to the personal and wider cultural need for John’s work. My friendship with John and Dawn goes back to when I was studying photography at RMIT University in the early 1990s. John became a mentor when I held my first three solo photography exhibitions at the Photographers Gallery in Punt Road between 1991 and 1994. After I had finished my Phd in 2001, I co-curated a retrospective of his work at the very same gallery. And I will add, all of this with a warmth and affection that opened up a pathway to his insights. John’s work is different. He was a groundbreaking artist. He was one of the first Australian photographers to create musical tone-poems – not traditional photo-essays as for magazines, but spiritual expositions about Self. In his internal meditation upon subject matter his concern was for the ‘felt’ landscape. 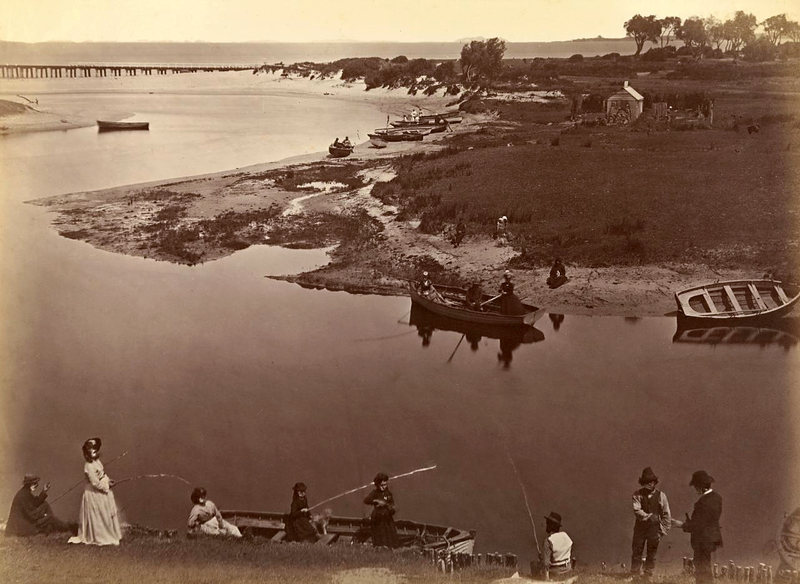 He sought to express his relationship with the earth, air and water, aware of the contradictions in contemporary settler relations with the land. His photographs are not about the ‘when’ or ‘where’ but about a feeling in relation to the land, the spirit and the universe. In this sense (that the photograph is always written by the photographer), these are photographs of the mind as much as they are of the landscape. John exposes himself as much as the landscape he is photographing. This is his spirit in relation to the land, to the cosmos, even. Like Monet’s paintings of water lilies these photographs are a “small dreaming” of his spirit with a section of the land and not necessarily, as in Aboriginal art, a dreaming and connection to the whole land. His photographs are photographs of the imagination as much as they are of place, rid of ego and become just the world. He created visions that placed the individual in harmony with the earth and in the process became not just a citizen of Australia but also a citizen of the world. In this transformative act the artist not only awakens the reasoning mind but more importantly the soul. This is what John’s work does; it awakens the soul. His Alcheringa, his dreaming (for that is what Alcheringa means), was to pursue poetic truth in the world and it is his “gift” to us, to those that remain looking at his work. John commented that he would rather have questions than answers – I’m sure he would want to say that, and he would want to believe it – but it is my feeling that very deep down he was searching for the more beautiful answer – rather than just the beautiful question. 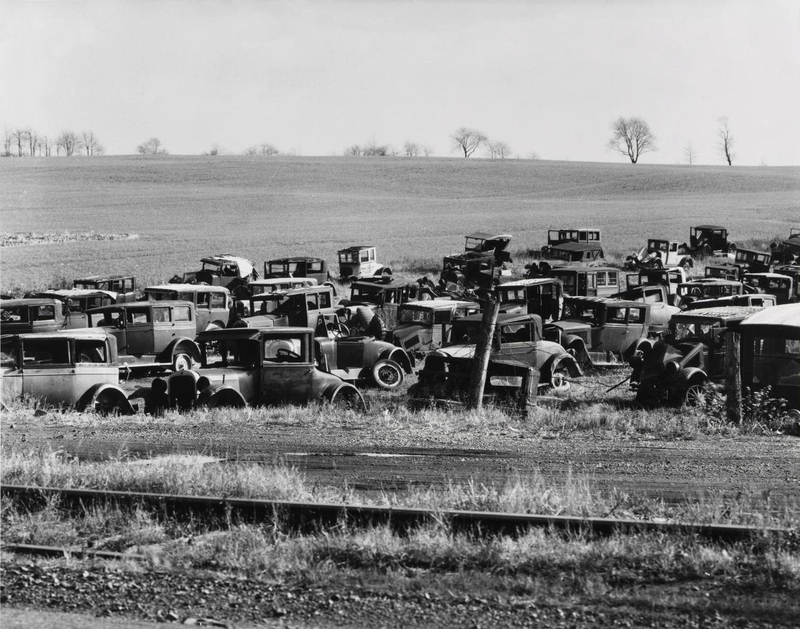 A very good friend of mine asked me recently whether I thought that John Cato was a great photographer. I have been thinking about that question ever since and my answer is this: he was a great photographer, one of Australia’s greatest, a great teacher and together with the sparkly-eyed Dawn, a wonderful human being. One measure of a photographer’s greatness is the amount of time he is prepared to spend helping others, and John spent a lot of time imparting his hard-earned wisdom. 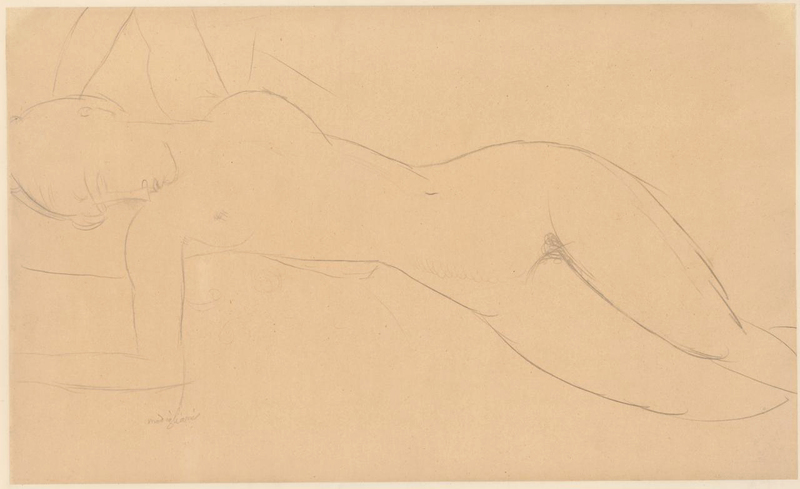 As an artist, John has for too long been ignored by notable institutions that cannot accept the wonder in his work. 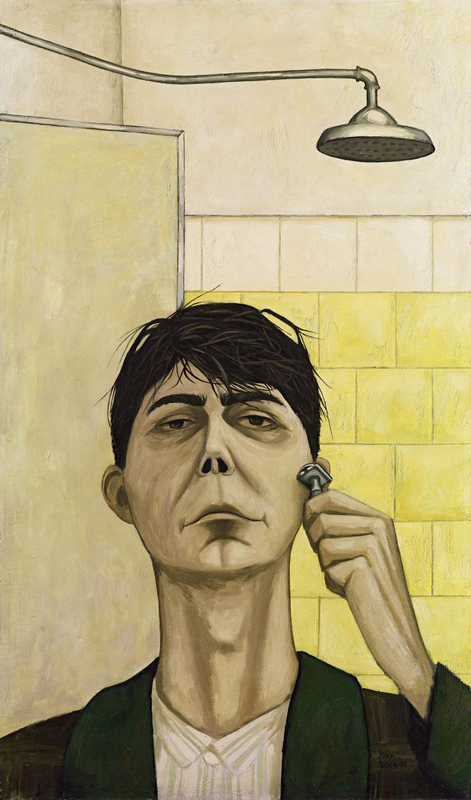 There is an inexplicable coolness toward John and guardedness when talking about his work, as though people are afraid of saying anything about it at all. Well, let me say it for them: John’s work is magnificent. It is to the great credit of the people who have organized this exhibition and the publication of this book that finally, John might start to get the recognition he so strongly deserves. John Cato unquestionably deserves a place in the pantheon of significant and influential Australian photographers for he is right up there with the very best of them. May the cosmos bless him. 2. Ennis, Helen. “Introduction,” in Ennis, Helen. Photography and Australia. London: Reaktion Books, 2007, p.9. 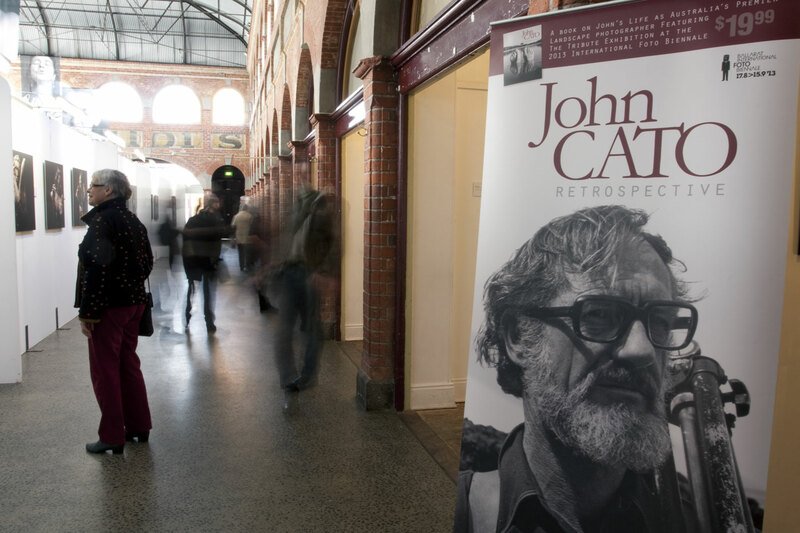 I have the great honour of being guest speaker at the John Cato Retrospective and book launch at the Ballarat International Foto Biennale on the 17th August, 2013. My essay … And His Forms Were Without Number from the 2002 retrospective I co-curated at the Photographers Gallery, has been included in the book. John is one of the most underrated but influential artists in the history of Australian photography and it is wonderful that a book is being published about his work. Finally, the recognition he so strongly deserves. I have also written the catalogue essay for another core program, Erika Diettes Sudarios (Shrouds) that also opens on the same day. This was one of the most complex writing assignments that I have undertaken for the subject matter is very difficult and I wanted to do the work justice. I will publish the essay in an upcoming posting. The artist is flying over from Colombia for the opening so it will be great to meet her. I hope you can make the trip to Ballarat for these important events! 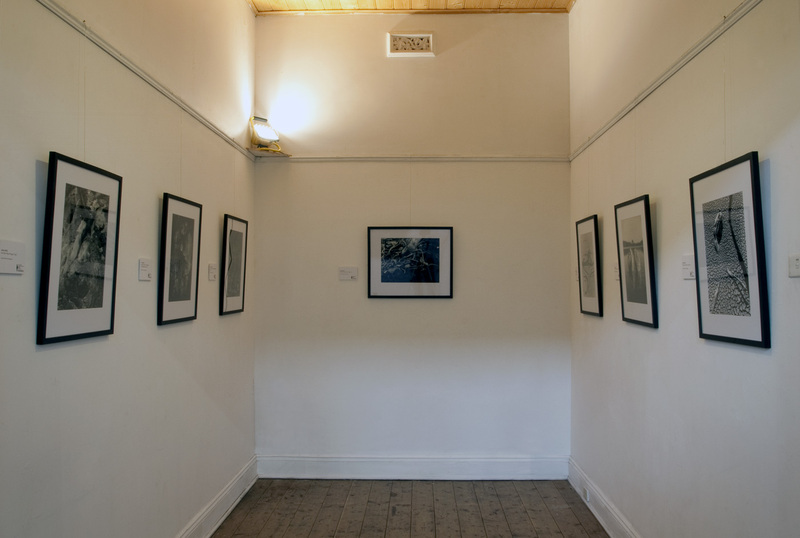 “John Cato was one of the first photographers in Australia to consider the lyrical and poetic aspects of landscape and to create extended series of photographic essays. 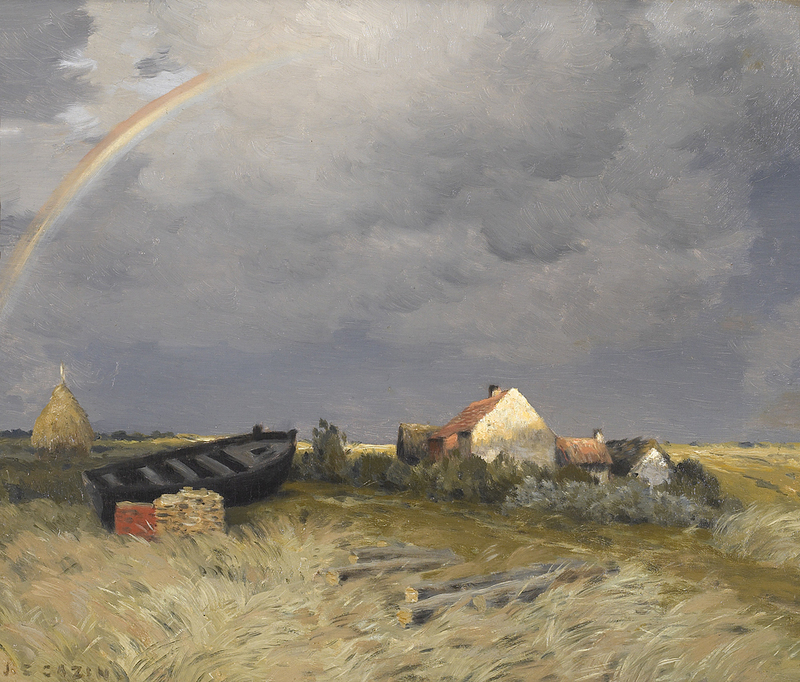 He wanted to ‘explore the elements of landscape’ and gave himself 10 years to complete his study, two years for each of the five elements. His practice would take him into the desert for extended periods of time. He would spend 40 days, seeing, observing and waiting for the perfect conditions for the shot, on one occasion exposing 3 rolls of film and being satisfied enough to use only 11 photographs from them. These powerful images, free of manipulation, capture the essential qualities of natural elements and indeed how John Cato saw the world. 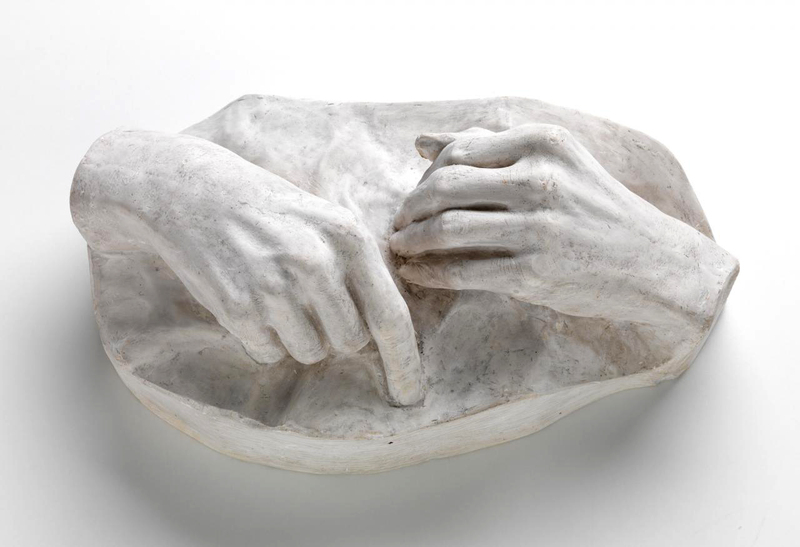 This exhibition of work from 1971-1991 honours the achievement of John Cato as mentor and as teacher. 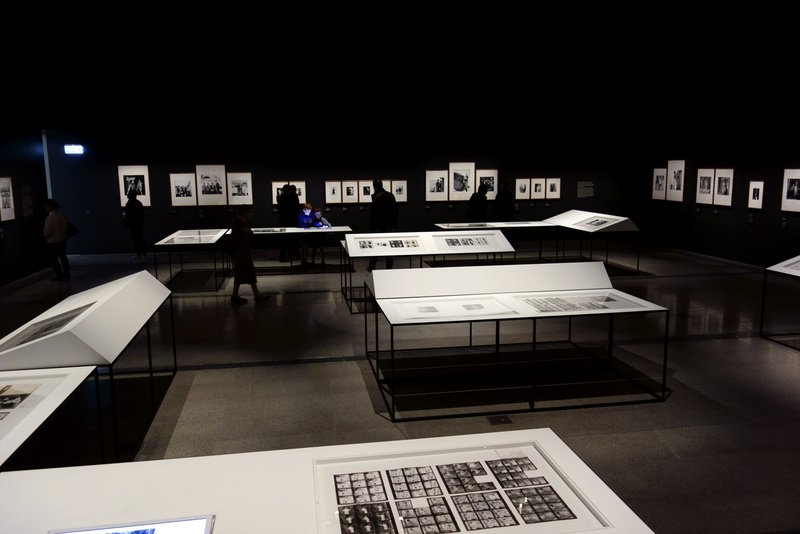 It pays homage to his significant contribution of photography in Australia. 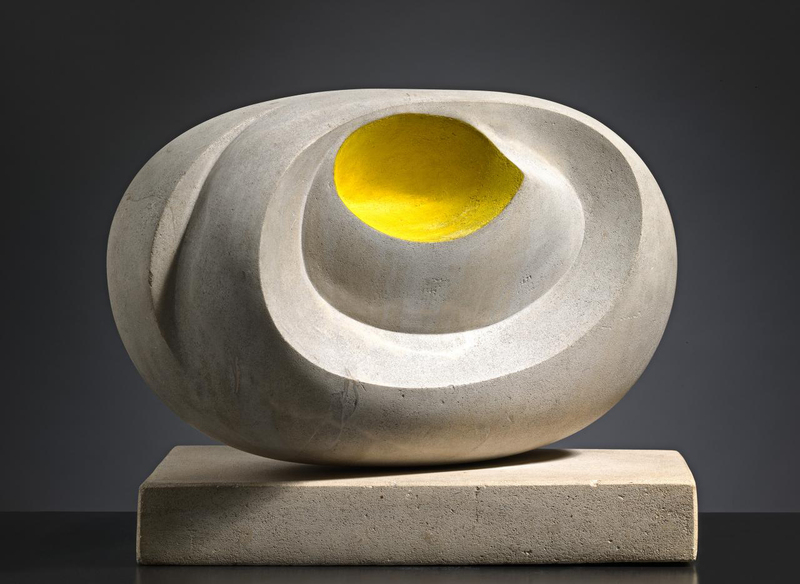 John Cato was born in Hobart, Tasmania in 1926. 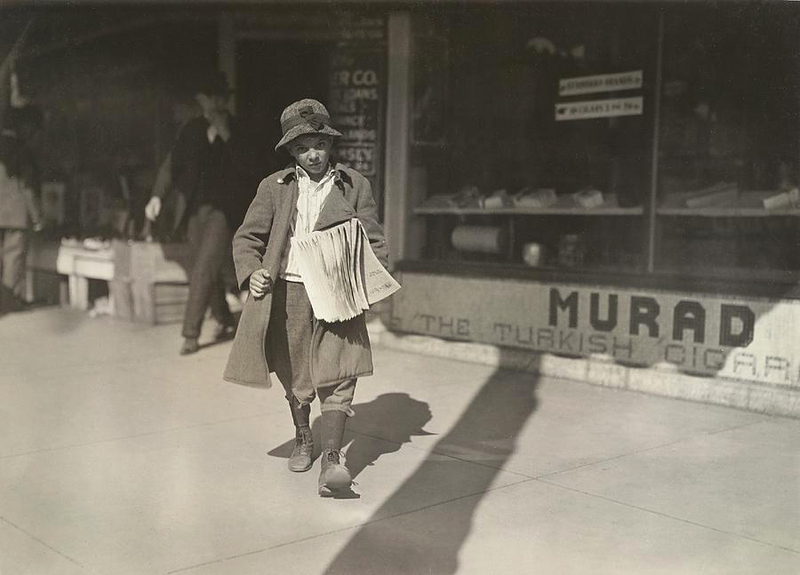 From the age of 12 years he was apprenticed to his father the photographer Jack Cato. 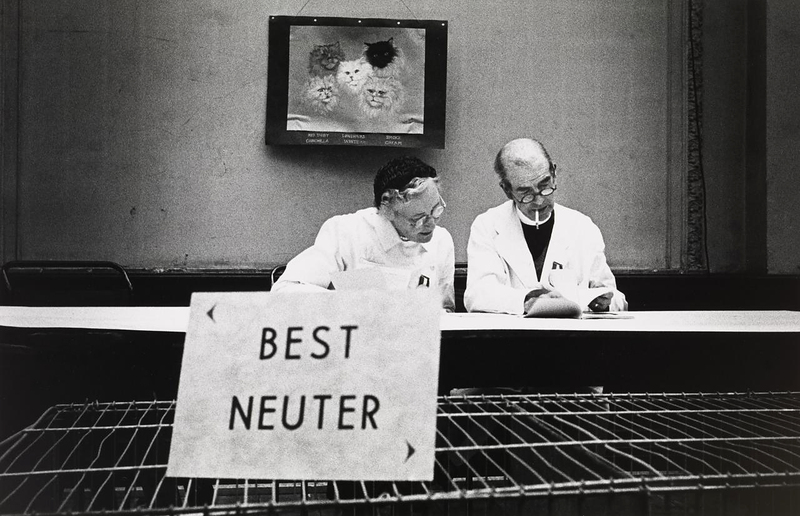 John Cato had been a press photographer with the Argus newspaper and a commercial photographer in partnership with Athol Shmith for 20 years before experiencing ‘a kind of menopause’. He walked away from a successful career, quietly burned all his commercial work and became an educator and fine art photographer. 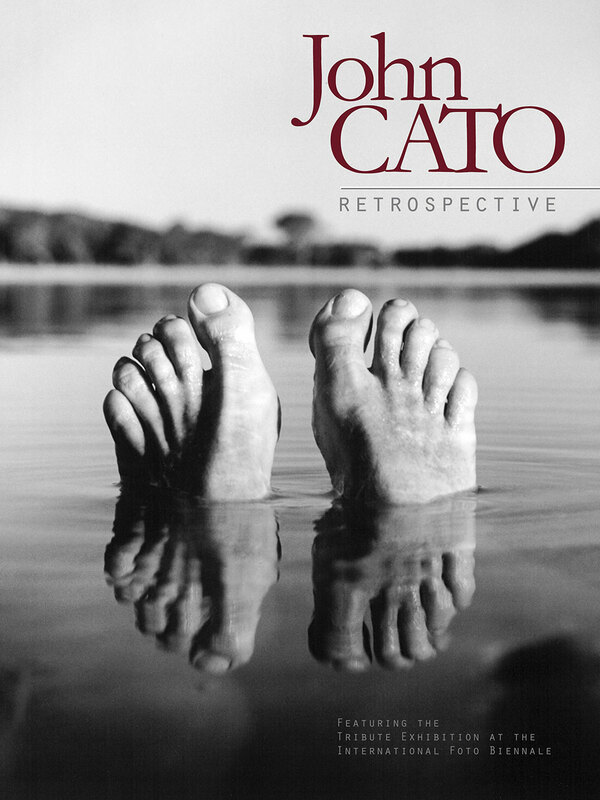 Cato was involved in the foundation years of the Photography Studies College, still in South Melbourne, and a lecturer there and at Prahran College of Advanced Education becoming Department Head in 1979 until he retired in 1991 by which time it was called Victoria College. He felt ‘duty bound’ to hand on his experience. He loved teaching and he was a much-loved teacher. Many of his past students are now highly regarded photographers, whilst others hold important positions in universities and art institutions around Australia. Text from the Ballarat International Foto Biennale core special guide. 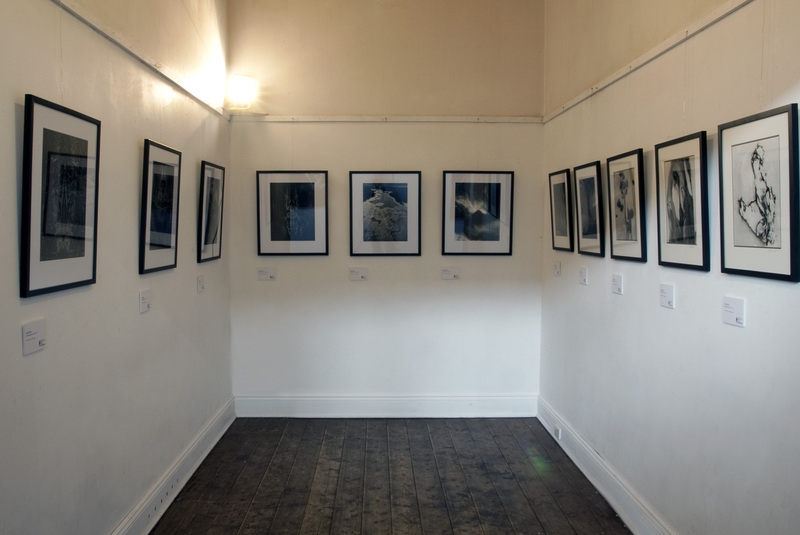 The exhibition is curated by Paul Cox. “Many times, with my camera, I have been a witness of the moment when people have to close their eyes as they recall the event which divided their life into two parts. 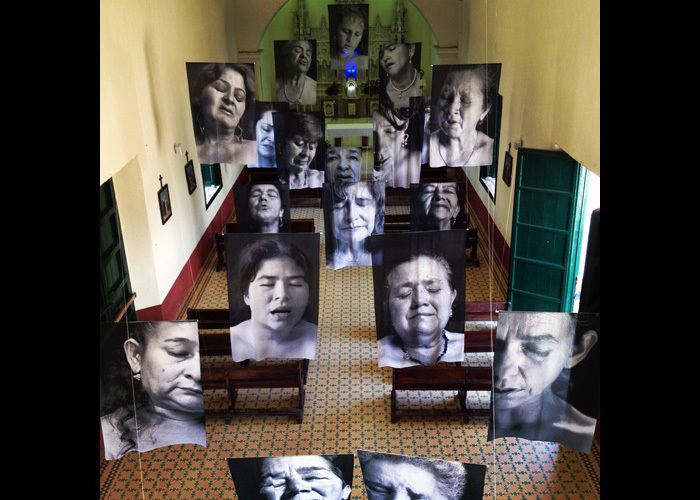 My decision to create Sudarios (Shrouds) comes from unanswered questions that came out of my pervious series Silencios (Silences), which dealt with survivors of the Second World War who live in Colombia. 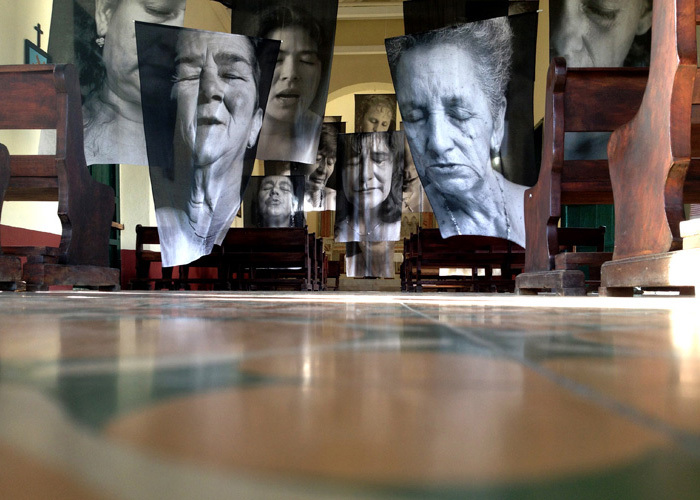 Similarities are also to be found in Río Abajo (Drifting Away), a series which focuses on the victims of forced disappearance, and A Punta de Sangre (By Force of Blood), a series in which I examine the idea of the search for the bodies of the disappeared by their families, who, in the midst of despair, find a ray of hope in the vultures that might lead them to the remains of their loved ones. 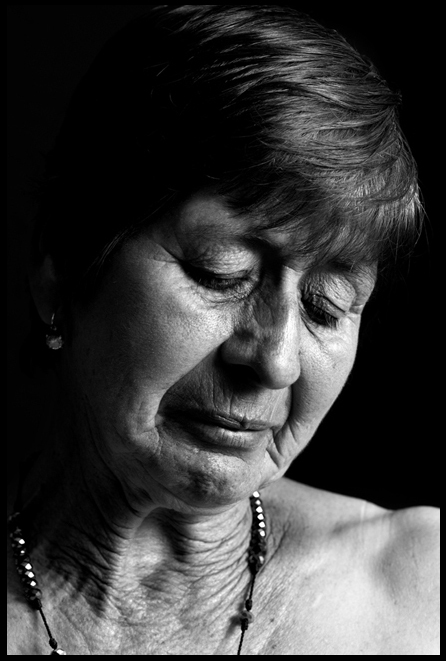 To date, I have received the testimonies of more than 300 victims of the violence in Colombia. They have confided intimacies of this violence to me: not only its harrowing details, but the way they rebuild their lives and keep going despite what they have suffered. 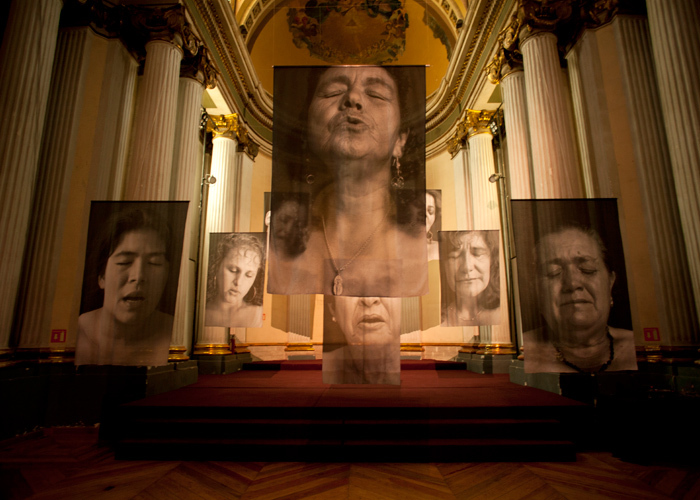 The women who serve as the models in Sudarios were first-hand witnesses of acts of horror. 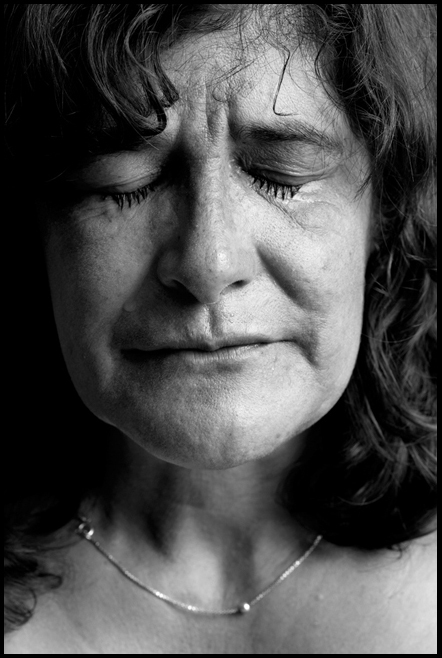 The intention of the series is to enable the spectator to observe the moment when these women close their eyes, with no other way to communicate the horror that they witnessed and the intensity of the sorrow they were subjected to. They were forced to feel on their own flesh, or in front of their own eyes, that there is no difference between man and the most savage beasts of nature; but that we are the only species capable of mass murder and the only ones who do not adapt to our own kind (N. Timbergen, 1968). I am convinced that this series speaks of something that is timeless, universal and infinite. Office: upstairs at the Mining Exchange, 12 Lydiard Street North, Ballarat. 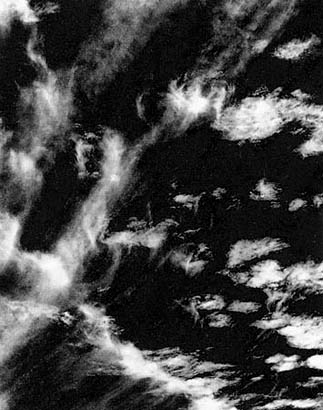 It is with much sadness that I note the death of respected Australian photographer and teacher Dr John Cato (1926-2011). Son of Australian photographer Jack Cato, who wrote one of the first histories of Australian photography (The Story of the Camera in Australia (1955), John was apprentice to his father before setting up a commercial studio with Athol Shmith that ran from 1950 – 1971. Dr Cato then joined Shmith at the fledgling Prahran College of Advanced Education photography course in 1974, becoming head of the course when Shmith retired in 1979, a position he held until John retired in 1991. I was fortunate enough to get to know John and his vivacious wife Dawn. I worked with him and co-curatored his retrospective with William Heimerman, ‘…and his forms were without number’ at The Photographers Gallery, South Yarra, in 2002. 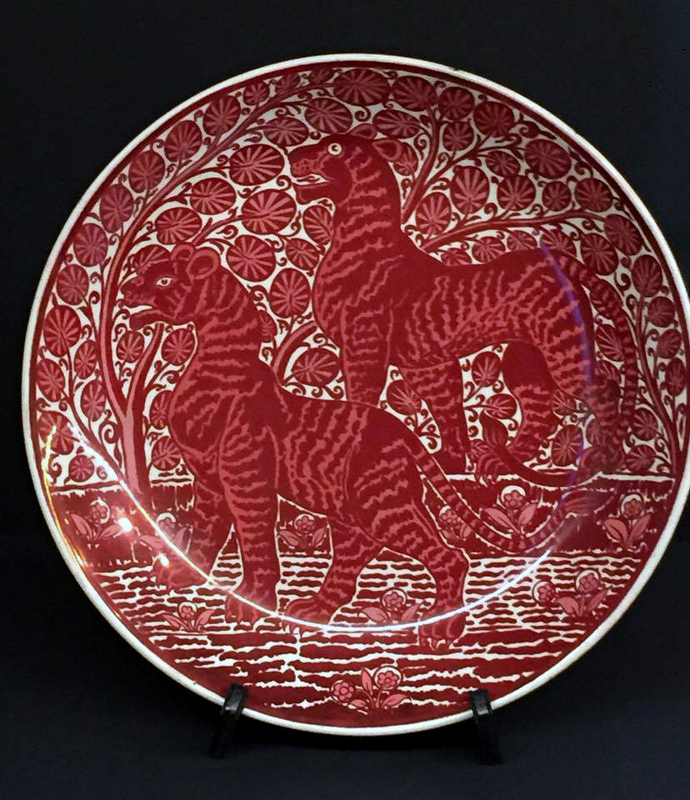 My catalogue essay from this exhibition is reproduced below. John was always generous with his time and advice. 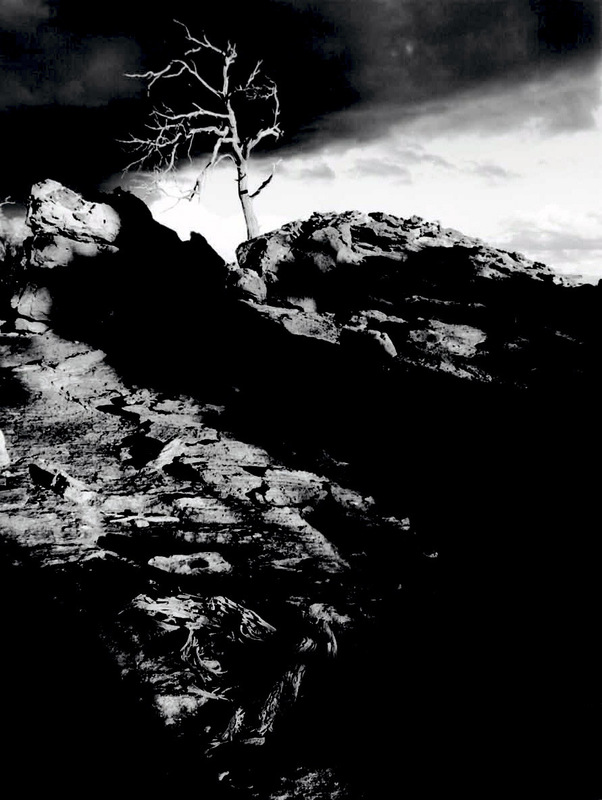 His photographs are sensitive, lyrical renditions of the Australian landscape. He had a wonderful ear for the land and for the word, a musical lyricism that was unusual in Australian photographers of the early 1970s. 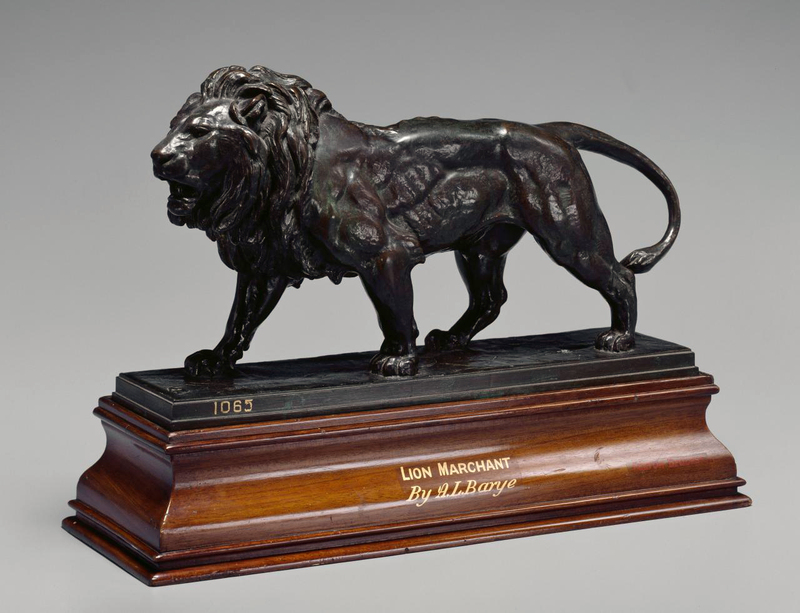 He understood how a person from European background could have connection to this land, this Australia, without being afraid to express this sense of belonging; he also imaged an Aboriginal philosophy (that all spirits have a physical presence and everything physical has a spiritual presence) tapping into one of the major themes of his personal work: the mirror held up to reveal an’other’ world – the language of ambiguity and ambivalence (the dichotomy of opposites e.g. 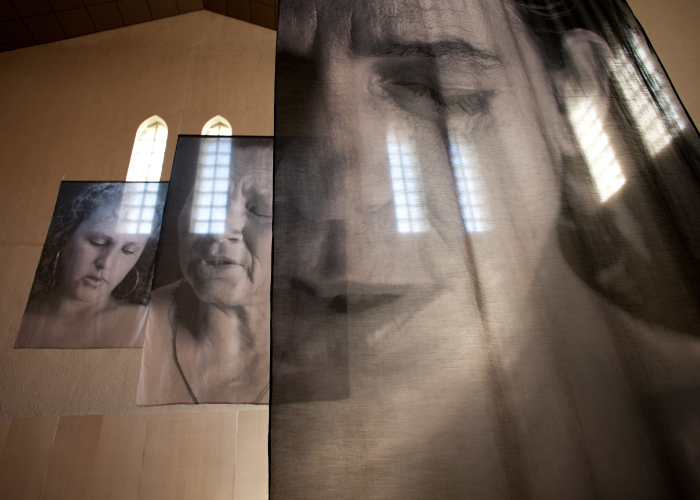 black/white, masculine/feminine) speaking through the photographic print. His contribution to the art of photography in Australia is outstanding. 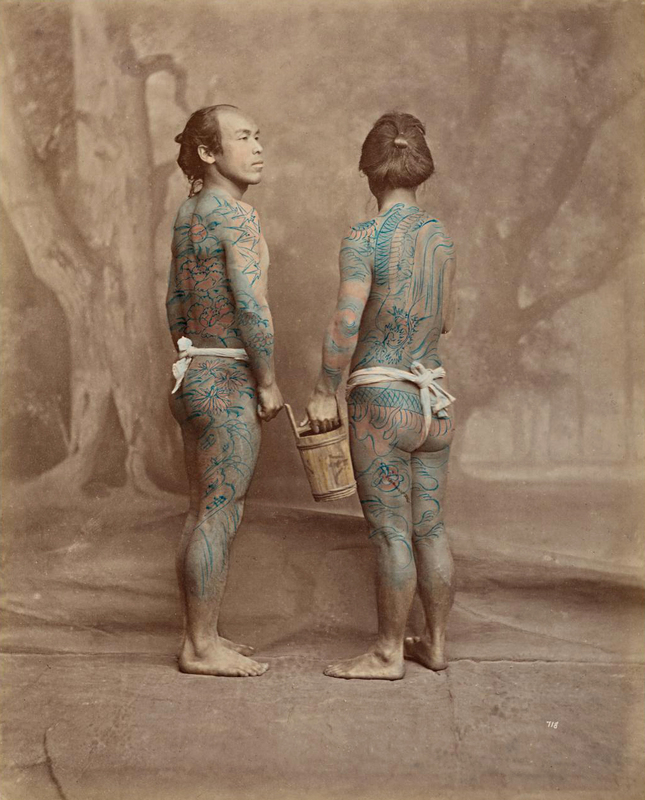 What are the precedents for a visual essay in Australian photography before John Cato? I ask the reader to consider this question. It would be fantastic if the National Gallery of Victoria could organise a large exhibition and publication of his work, gathering photographs from collections across the land, much like the successful retrospective of the work of John Davis held in 2010. Cato’s work needs a greater appreciation throughout Australia because of it’s seminal nature, containing as it does the seeds of later development for Australian photographers. His educational contribution to the development of photography as an art form within Australia should also be acknowledged in separate essays for his influence was immense. His life, his teaching and his work deserves nothing less. 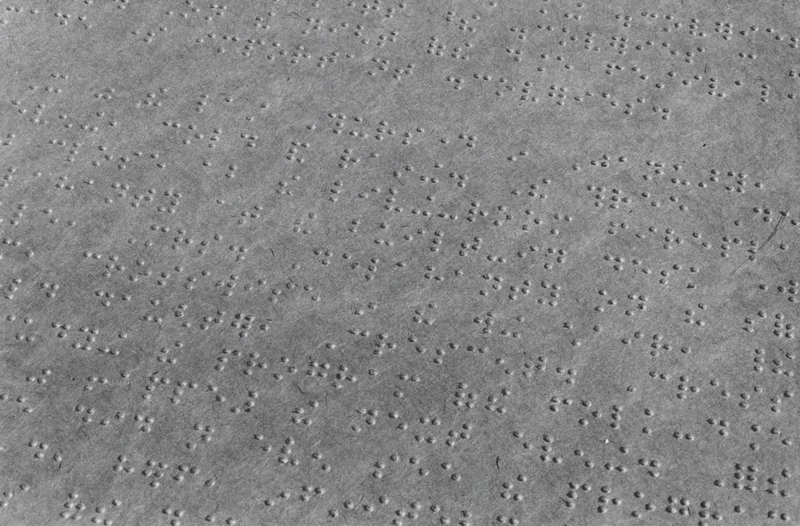 This writing on the photographic work of Dr. John Cato from 1971 – 1991 is the catalogue essay to a retrospective of his work held at The Photographers Gallery in Prahran, Melbourne in 2002. 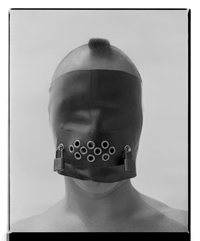 Dr. Cato forged his voice as a photographic artist in the early 1970s when photography was just starting to be taken seriously as an art form in Australia. 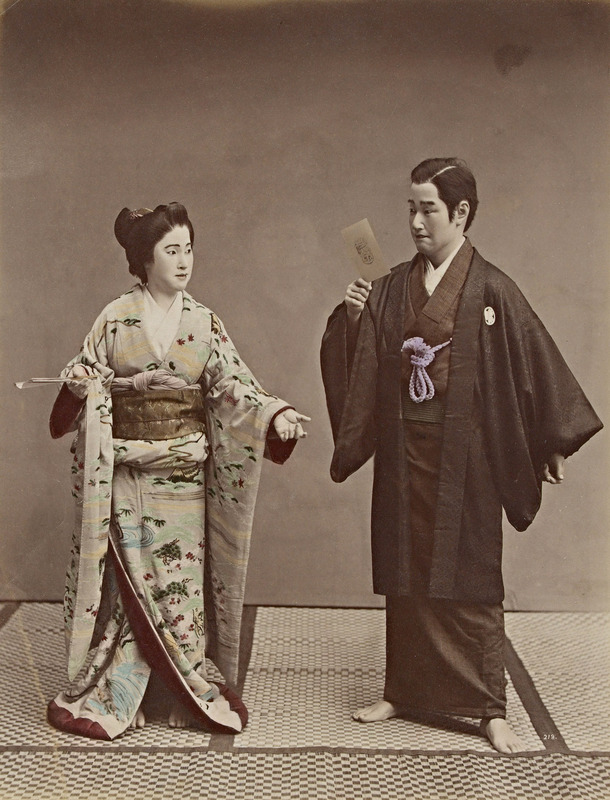 He was a pioneer in the field, and became an educator in art photography. He is respected as one of Australia’s preeminent photographers of the last century. With the arrival of ‘The New Photography’1 from Europe in the early 1930’s, the formalist style of Modernism was increasingly adopted by photographers who sought to express through photography the new spirit of the age. In the formal construction of the images, the abstract geometry, the unusual camera angles and the use of strong lighting, the representation ‘of the thing in itself’2 was of prime importance. Subject matter often emphasised the monumentality of the factory, machine or body/landscape. 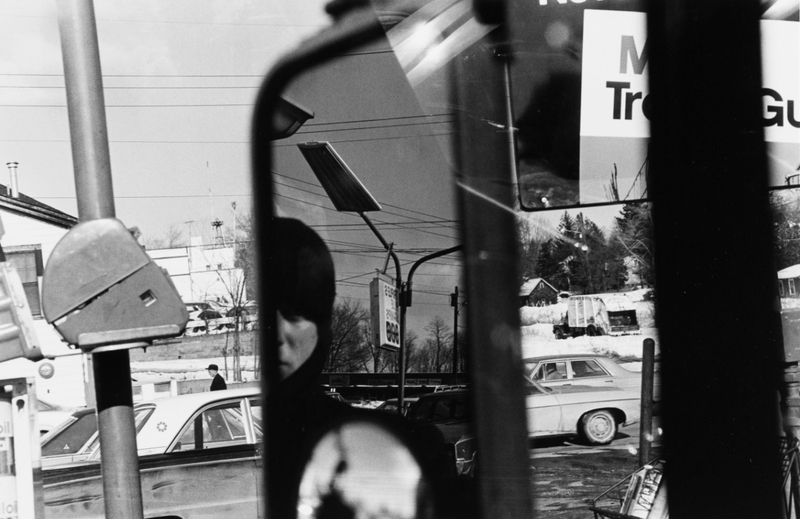 The connection of the photographer with the object photographed was usually one of sensitivity and awareness to an external relationship that resulted in a formalist beauty. 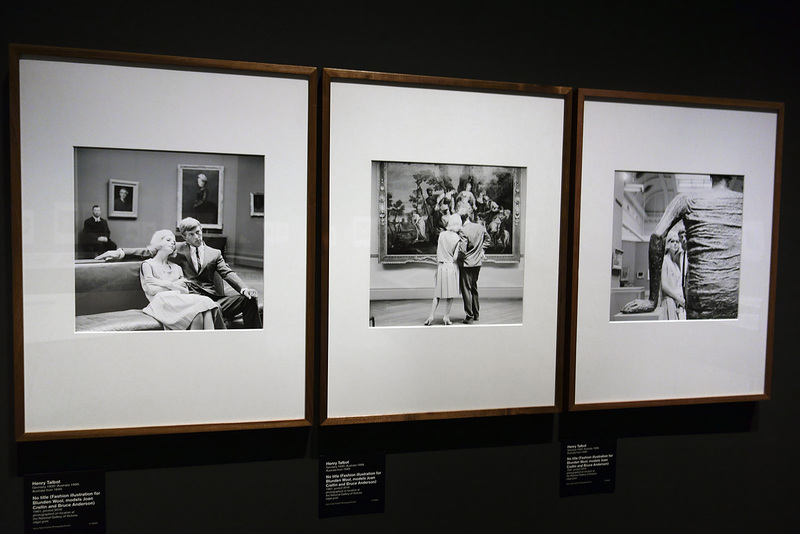 The culmination of the ‘Documentary’ style of photography was ‘The Family of Man’ exhibition curated by Edward Steichen that toured Australia in 1959.6 This exhibition, seen many times by John Cato,7 had a theme of optimism in the unity and dignity of man. 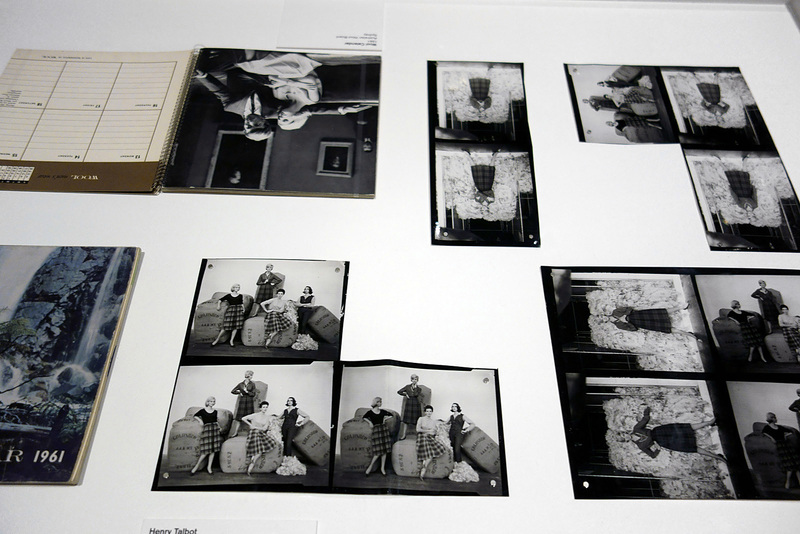 The structure of the images in ‘Documentary’ photography echoed those of the earlier ‘New Photography’. Max Dupain “stressed the objective, impersonal and scientific character of the camera; the photographer could reveal truth by his prerogative of selection.”8 This may have been an objective truth, an external vocalising of a vision that concerned itself more with exterior influences rather than an internal meditation upon the subject matter. In the intensity of the holistic vision, in the connection to the subconscious, the images elucidate the photographers’ search for a perception of the world. This involved an attainment of a receptive state that allowed the cracks, creases and angles inherent in the blank slate of creation to become meaningful. The sequence contained images that can be seen as ‘acts of revelation’,11confirmed and expanded by supporting photographs, and they unearthed a new vocabulary for the discussion of spiritual and political issues by the viewer. They may be seen as a metaphor for life. The inspiration for ‘Essay I’ and later personal work came from many sources. 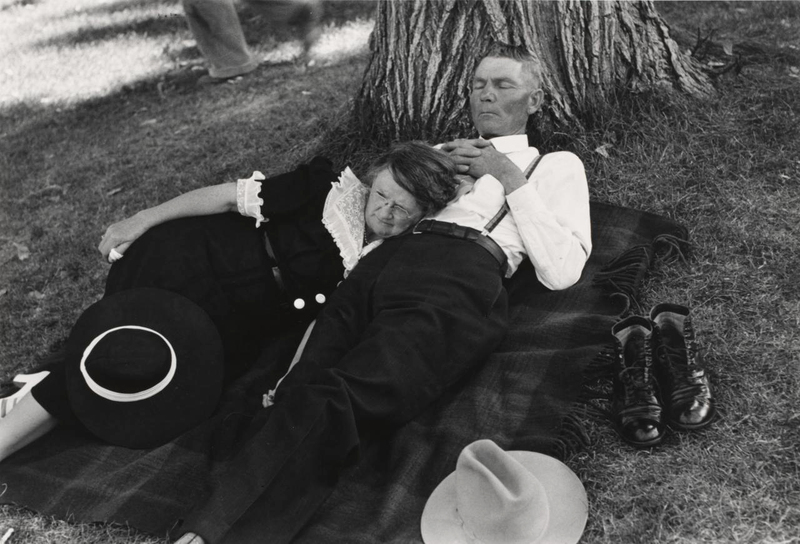 An indebtedness to his father, the photographer Jack Cato, is gratefully acknowledged. Cato also acknowledges the influence of literature: William Shakespeare (especially the Sonnets, and As You Like It), William Blake, Walt Whitman (Leaves of Grass), Lewis Carroll (Through the Looking Glass), the Bible; and of music (symphonic form), the mythology of the Dreamtime and Aboriginal rock paintings.15 Each body of work in ‘Essay I’ was based on an expression of nature, the elements and the Creation. They can be seen as ‘Equivalents’16 of his most profound life experiences, his life philosophy illuminated in physical form. John Cato was able to develop the vocabulary of his own inner landscape while leaving the interpretation of this landscape open to the imagination of the viewer. Seeing himself as a photographer rather than an artist, he used the camera as a tool to mediate between what he saw in his mind’s eye, the subjects he photographed and the surface of the photographic negative.17 Photographing ‘in attention’, much as recommended by the teacher and philosopher Krishnamurti,18 he hoped for a circular connection between the photographer and the subject photographed. He then looked for verification of this connection in the negative and, eventually, in the final print. 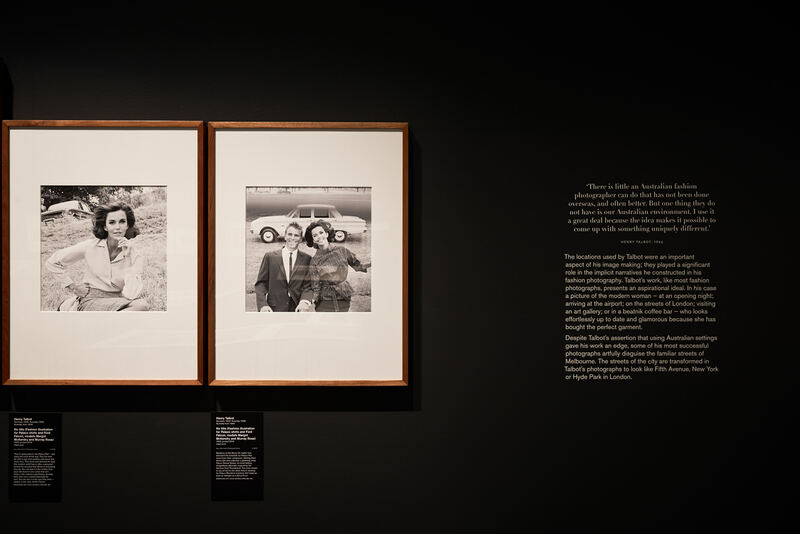 The photographs in ‘Essay II’ seem to express “the sublimation of Aboriginal culture by Europeans”19 and, as such, are of a more political nature. 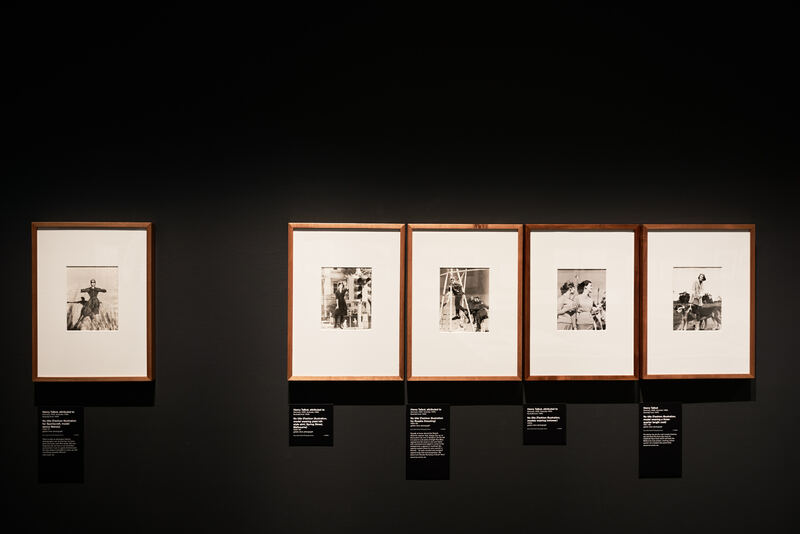 Although this is not obvious in the photographs of ‘Alcheringa’, the images in this sequence celebrating the duality of reality and reflection, substance and shadow, it is more insistent in the symbology of ‘Broken Spears’ and‘Mantracks’. 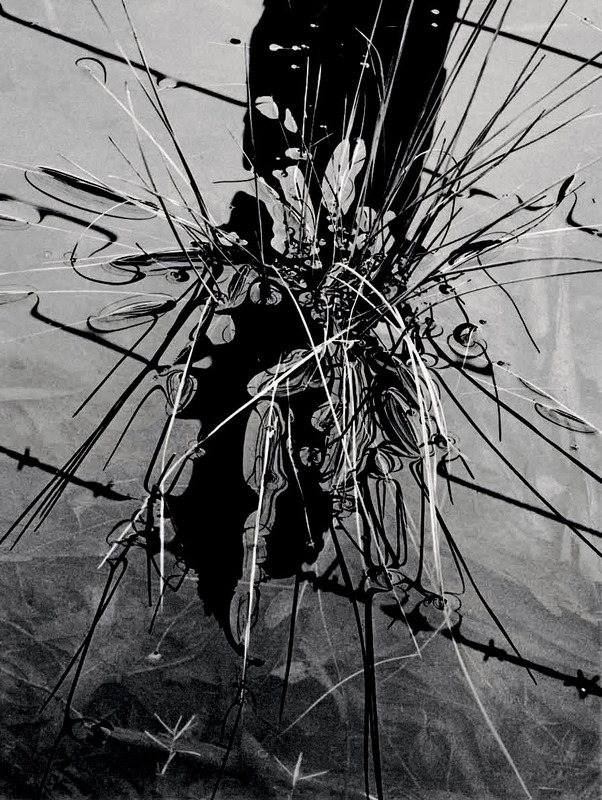 Using the metaphor of the fence post (white man/black man in ‘Broken Spears’) and contrasting Aboriginal and European ‘sacred’ sites (in pairs of images in ‘Mantracks’), John Cato comments on the destruction of a culture and spirit that had existed for thousands of years living in harmony with the land. In his imaging of an Aboriginal philosophy (that all spirits have a physical presence and everything physical has a spiritual presence) he again tapped one of the major themes of his personal work: the mirror held up to reveal an’other’ world. 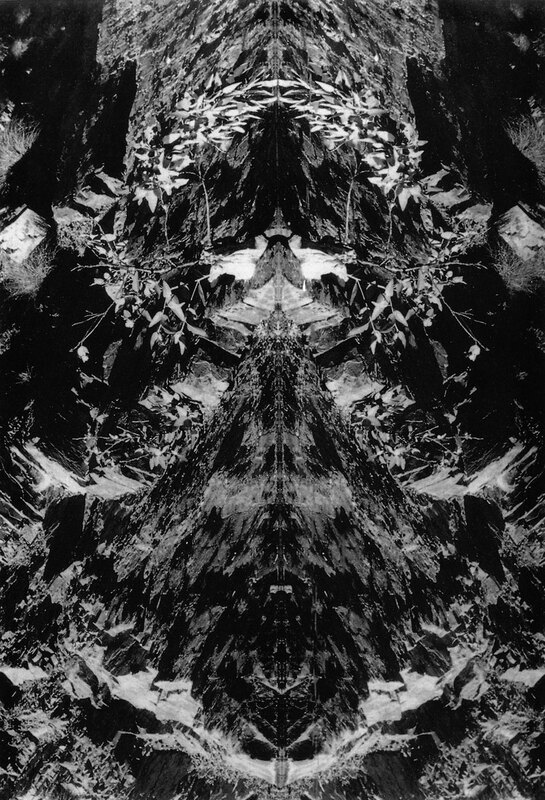 Cato saw that even as they are part of the whole, the duality of positive/negative, black/white, masculine/feminine are always in conflict.20 In the exploration of the conceptual richness buried within the dichotomy of opposites, Cato sought to enunciate the language of ambiguity and ambivalence,21 speaking through the photographic print. 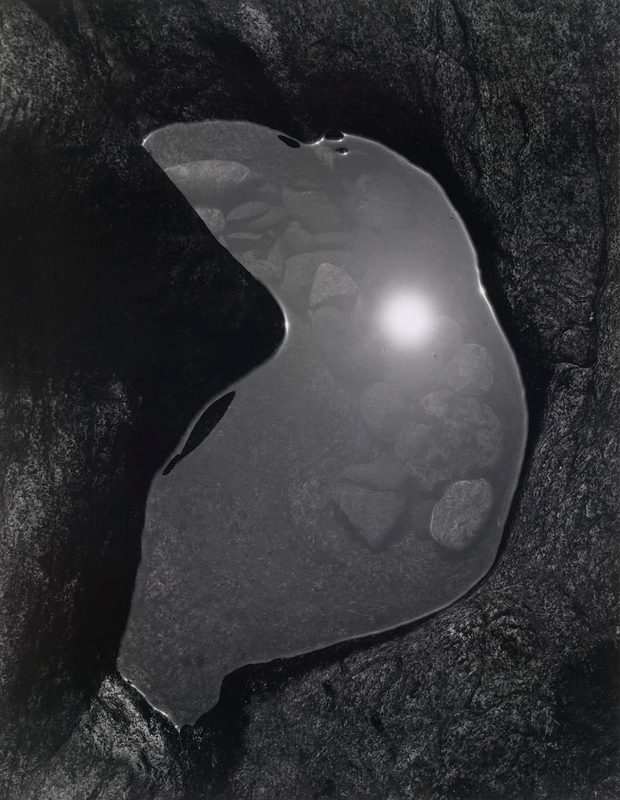 But in the personal work of John Cato it is a reflection of the psyche, not of light, that allows a consciousness to be present in the figuration of the photographic prints. The personal work is an expression of his self, his experience, his story and t(his) language, is our language, if we allow our imagination to speak. Newton, Gael. 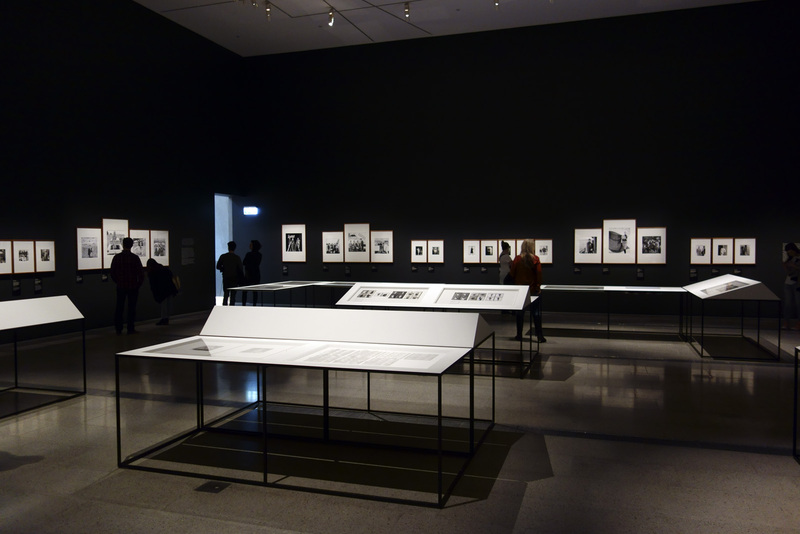 Shades of Light: Photography and Australia 1839-1988. Sydney: Australian National Gallery, William Collins, 1988, p.109. Newton, Gael. 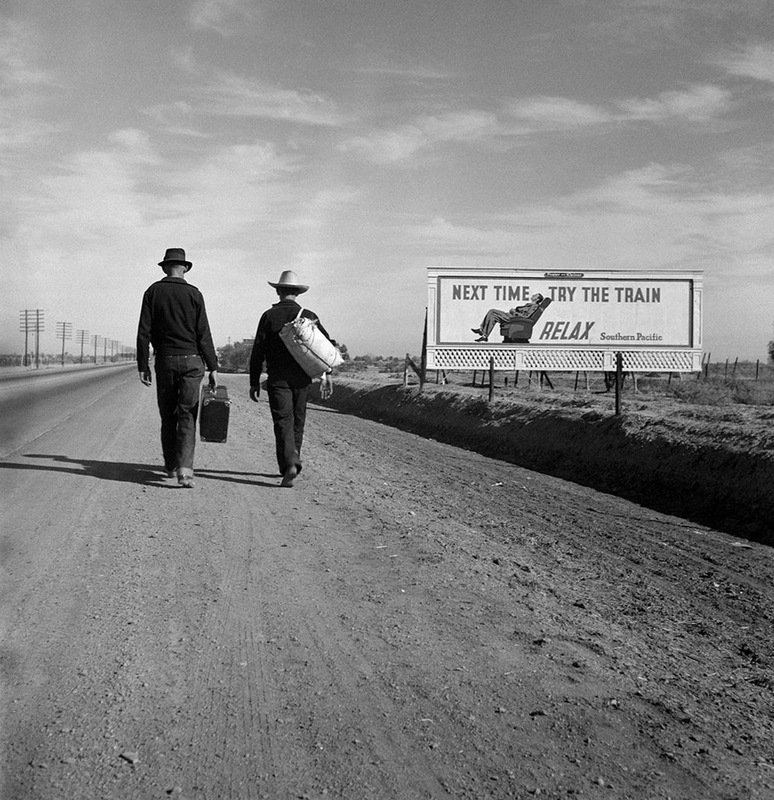 Max Dupain. Sydney: David Ell Press,1980, p.34. Greenough, Sarah (et al). 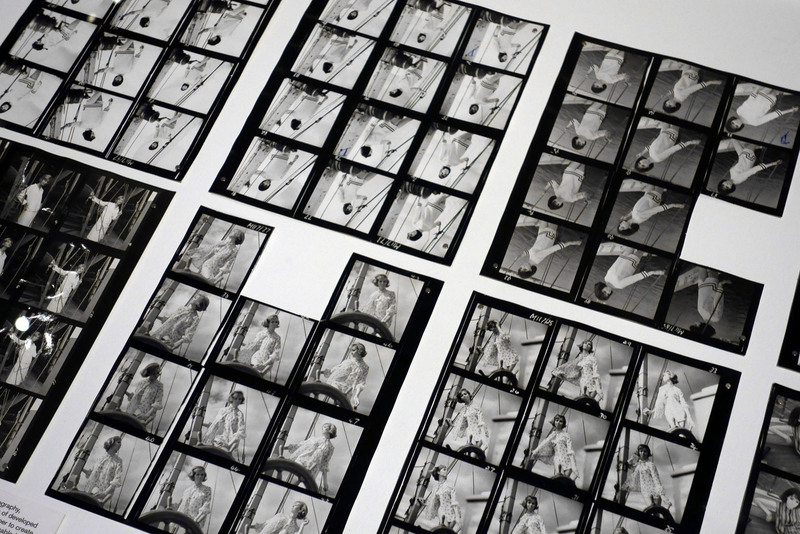 On the Art of Fixing a Shadow: 150 Years of Photography. Boston: National Gallery of Art, Bullfinch Press, 1989. p.256. Newton, Gael. 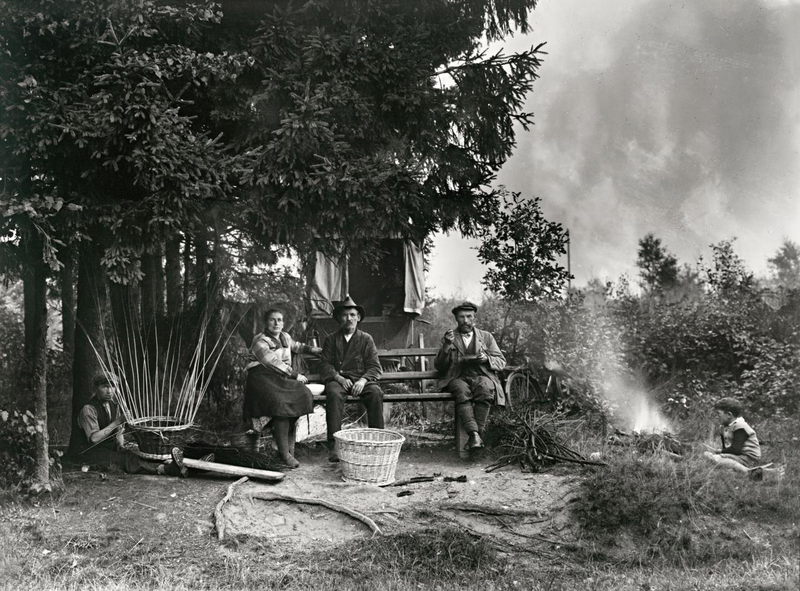 Shades of Light: Photography and Australia 1839-1988. 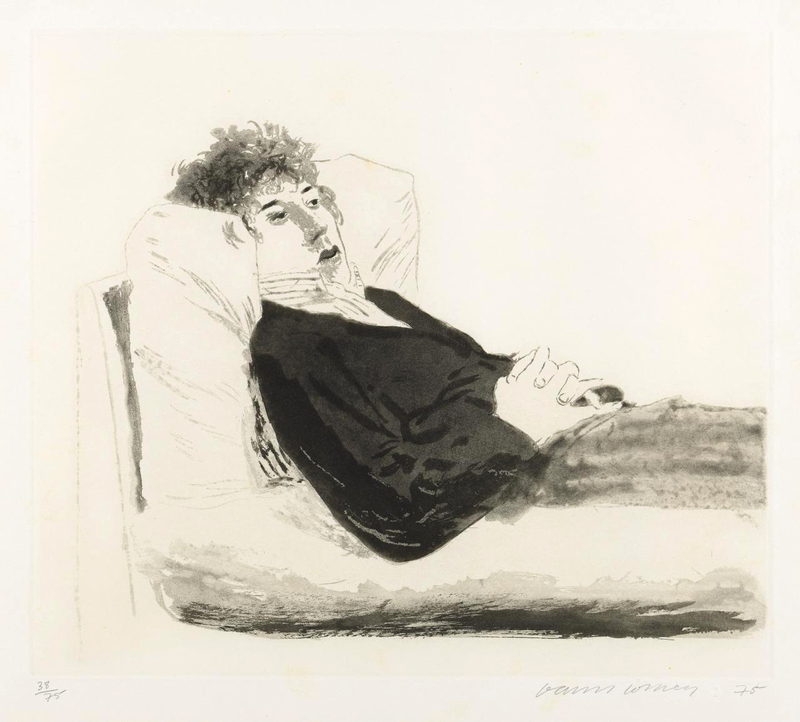 Sydney: Australian National Gallery, William Collins, 1988, p.131. Newton, Gael. 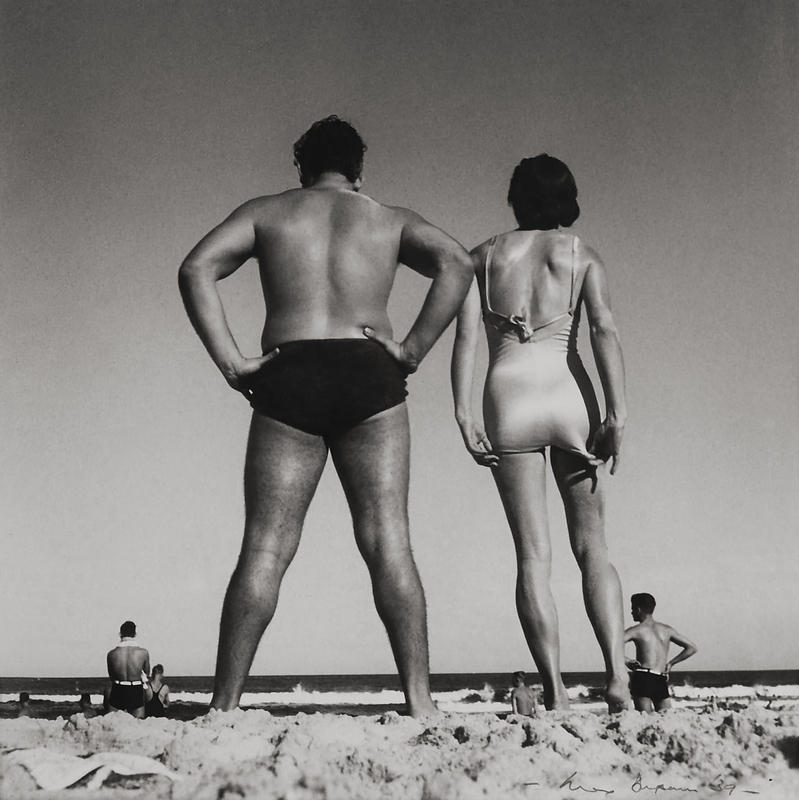 Max Dupain. Sydney: David Ell Press,1980, p.32. 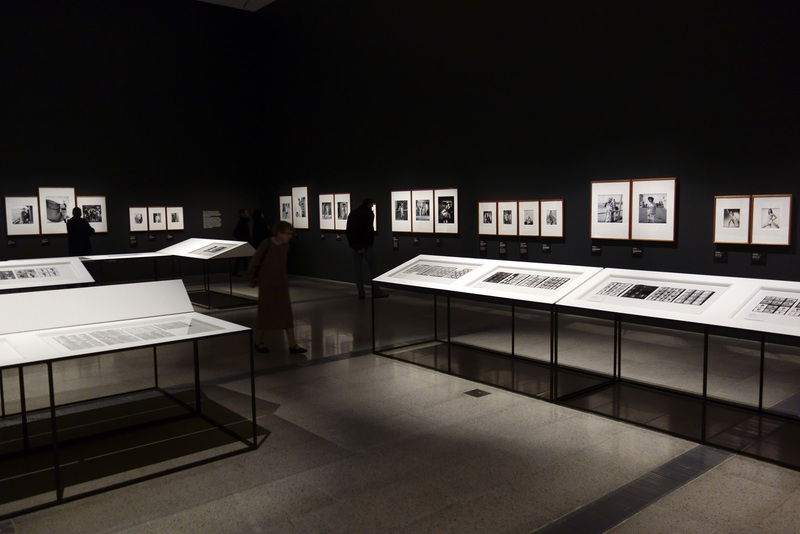 Only the second exhibition by Australian photographers at the National Gallery of Victoria, Melbourne. Shmith, Athol. Light Vision No.1. Melbourne: Jean-Marc Le Pechoux (editor and publisher), Sept 1977, p.21. Berger, John and Mohr, Jean. Another Way of Telling. New York: Pantheon Books,1982, p.118. Hall, James Baker. 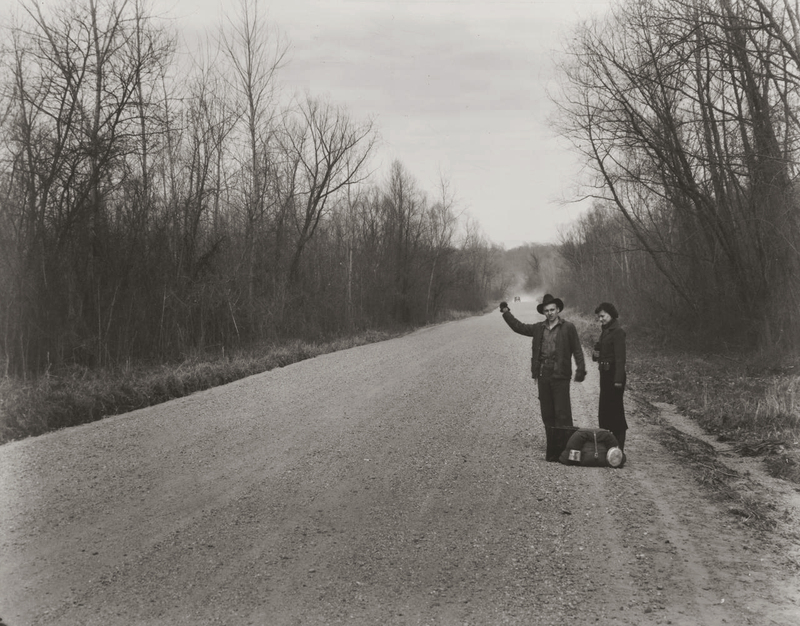 Minor White: Rites and Passages. New York: Aperture, 1978. Conversation with the photographer 29/01/1997, Melbourne, Victoria. Newton, Gael. 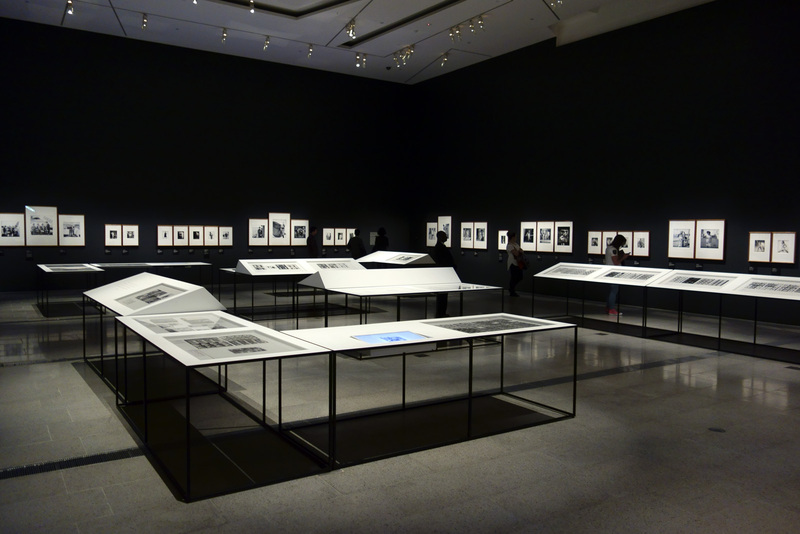 Shades of Light: Photography and Australia 1839-1988. Sydney: Australian National Gallery, William Collins, 1988, p.135, Footnote 7; p. 149. Conversation with the photographer 22/01/1997, Melbourne, Victoria. Norman, Dorothy. Alfred Stieglitz. New York: Aperture, 1976, p.5. Krishnamurti. Beginnings of Learning. London: Penguin, 1975, p.131. Strong, Geoff. Review. The Age. Melbourne, 28/04/1982. Quoted in Davis, Fred. Fashion, Culture and Identity. Chicago: University of Chicago Press, 1992, p.21. Levine, Donald. The Flight From Ambiguity. Chicago: University of Chicago Press, 1985. Berger, John and Mohr, Jean. Another Way of Telling. New York: Pantheon Books,1982, p.95.